Advertise your modified car for sale, for free! 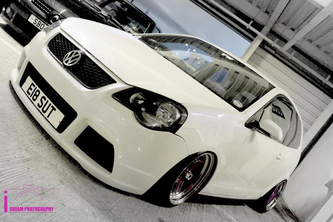 Receive all the latest Modified Cars For Sale by 'Liking' our Facebook page! To the MC4S Facebook page! ModifiedCars4Sale.com is currently going through some changes to make the user experience easier and more pleasant. Modified cars will now be advertised on this page as links. Click on a page to view cars of that make that you are interested in. That page will then contain links to cars that are currently for sale on the site. Cars stay live on the site for 2 months, and then they are removed. Please note, cars will still remain for sale on this page, only cars added after 1/5/15 will be using the new format. Makes of car that currently have cars being advertised are in green. Makes of car that are in this colour text are not currently for sale on this site. Modified Mini One 1.6 Midnight black, 2011 (61 plate), 3 door, 4 seats, one owner since new, well looked after. 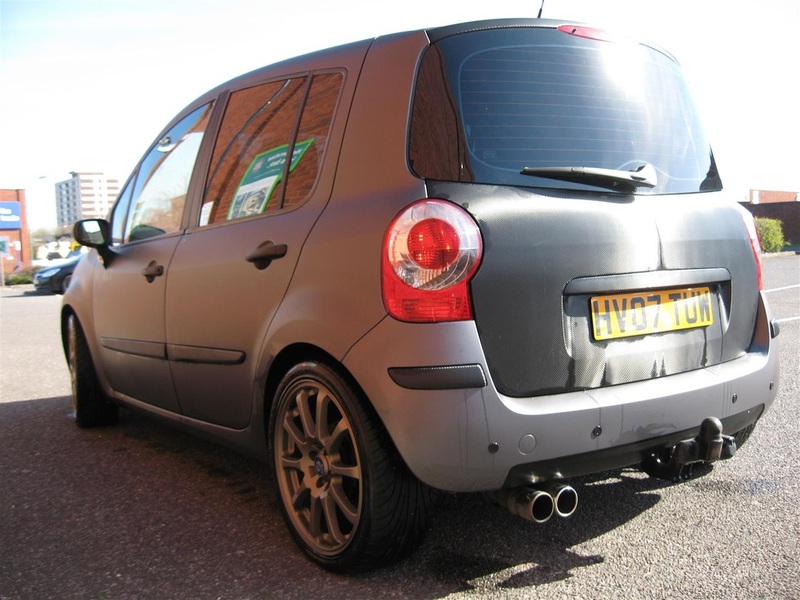 John Cooper Works body kit, lowered on weitec coilovers, 17" ROTIFORM BLQ alloys. Cleaned weekly, MOT due in November 2015, TAX due in June 2015. 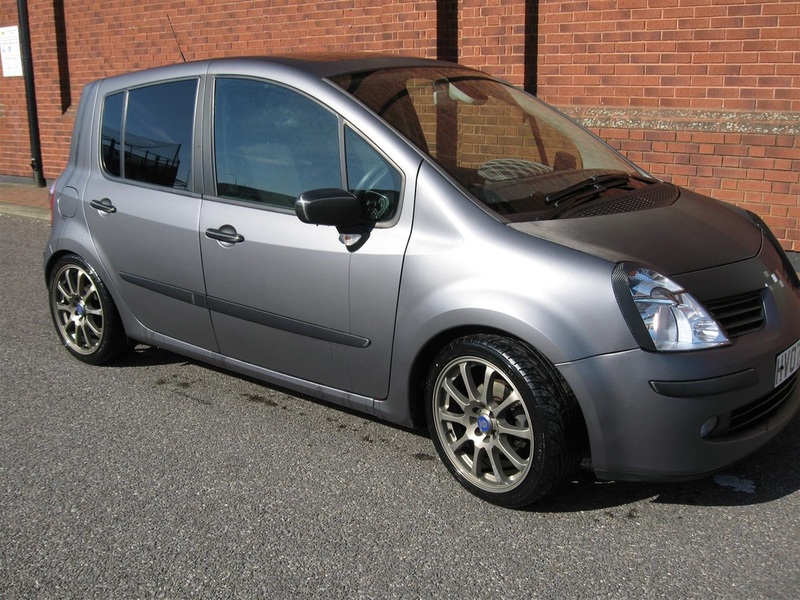 STANDARD PACK: Dynamic stability control, alarm system (Thatcham 1), heated mirrors/washer jets, passenger air bag deactivation(front), car jack, DAB digital radio, radio BOOST CD, 2nd remote key. PEPPER PACK: Leather steering wheel, floor mats (velour), seat height adjustment, extended storage, fog lights, automatic air conditioning, on board computer, extended interior light package, chrome line interior, deleted chrome line exterior (can be put back to chrome). 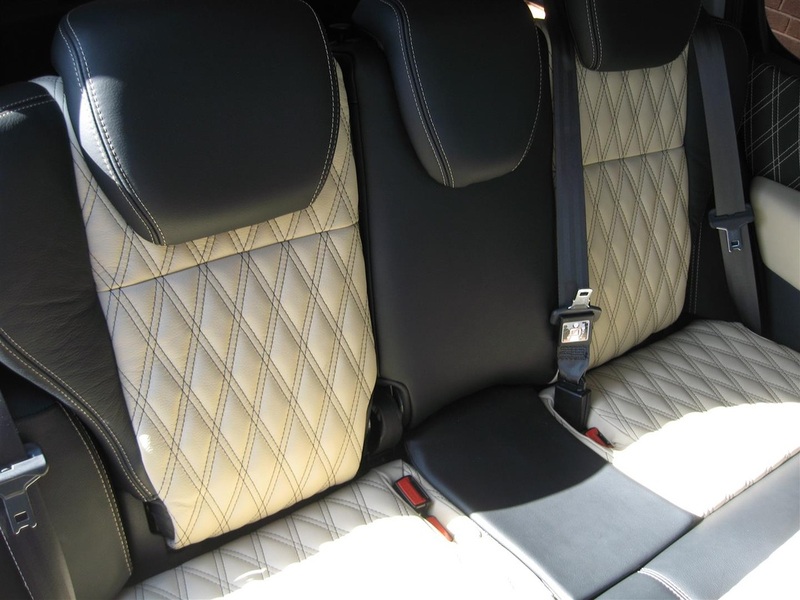 Sun protection glass, sport seats front, cloth/leather combination cross cheque polar beige. 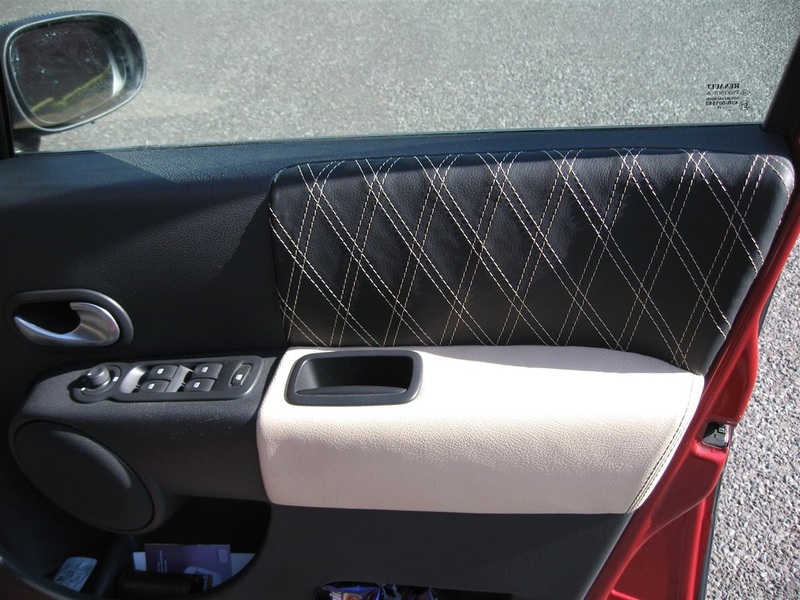 Additional decor rings, interior trim piano black, basic blue tooth with USB, white indicator lenses. Great car, great fun, only selling as I am upgrading. Ready for collection mid-end of March. No time wasters, thank you. I have owned the car for 2 years and has been serviced regularly by main dealer gauge and has had a fortune spent on it. Drives beautifully and handles better than cars double the price. The car comes with M.O.T and full history on the car from the original tax discs. The car also comes with a lot of the OEM parts that were replaced with the upgrades. Probably Other Things I can't Remember Message Me For More Info. Thanks. Hi there this is a PROJECT CAR. Please note there is not tax or mot and car will need trailering away. The fiesta is a great little car for a cheap project,lots of money already spent on it,its been lowered on large alloys(need refurbing),body kit fitted but coming loose in places,full stainless exhaust fitted,polly bushes fitted for better handling. 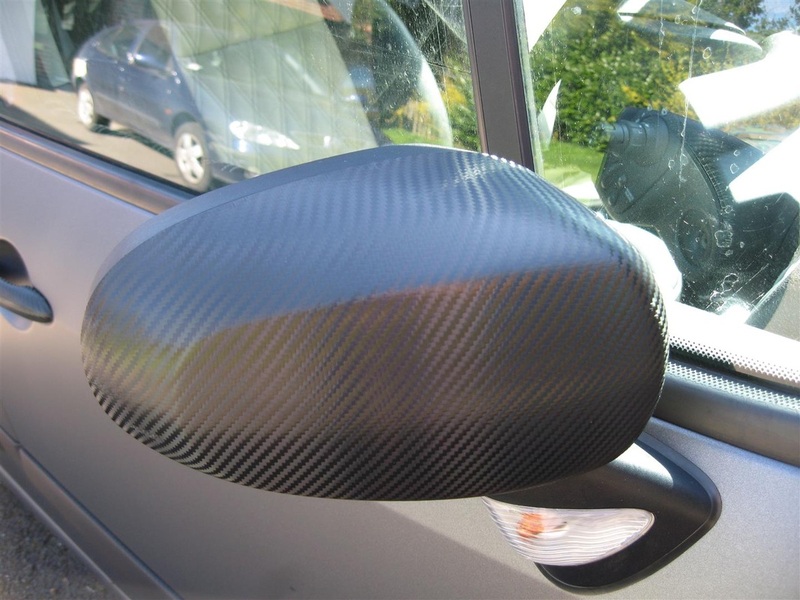 The car has custom wing mirrors with indicators in but one has been knocked off,so will need replacing,also car has been de-locked. 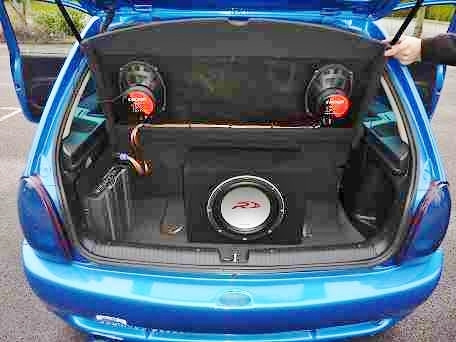 Internaly the car has a cloth interior,custom door speaker builds in front,green neons fitted in front foot wells. 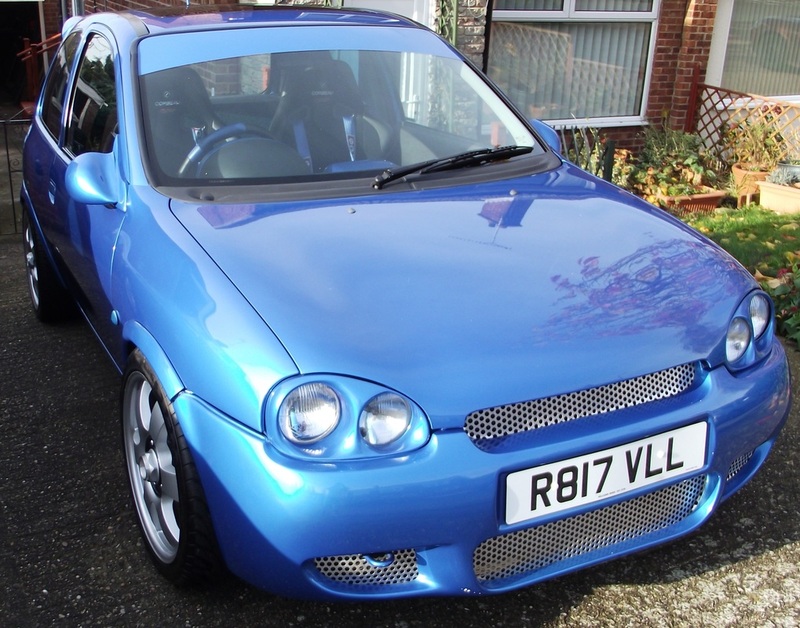 This is a nice cheap little car to insure but does need work. Cash on collection only. I am asking for a very cheap price of £400 due to being a project car. Please note engine has gone around the clock. Sorry no offers accepted and no haggling on price. If you are intrested feel free to contact me to arrange a viewing. Looks like a sensible shopping car, sounds like a Lancia Stratos GrpB rally car, and goes like a rocket. A true sleeper that always surprises and makes a great road legal track car. All-alloy engine, DTA P8 Pro management, Hi-Spec brakes, coilovers, and more. The car was built in 2010, it had a professionally done engine conversion to the all-alloy PSA ES series 3ltr 24 valve V6 engine, as found in the mid-engine Clio V6, the Venturi Atlantique 300 supercar, and the 650bhp Pescarolo C60 LeMans racers. Since being built the car has only done about 3000 miles. All alloy 3ltr 24V engine conversion. DTA P8 Pro engine management. BMC CDA Carbon Fibre airbox with cold air feed. Custom made 2.5in side exit exhaust. Uprated engine mounts (Impreza) - VERY well done, sitting dead level and straight, very solid too. Warlbro 255 l/h uprated fuel pump. 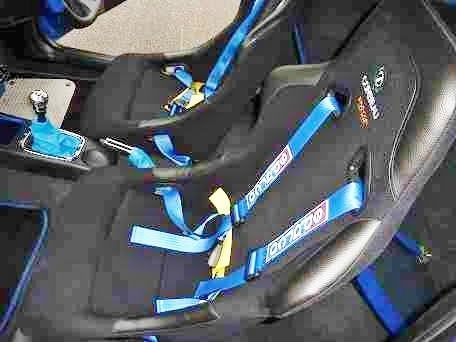 Motorsport spec heat insulated bulkhead tape. Recent cambelt and inlet gasket change. V6 gearbox conversion (strongest Pug box, ridiculously strong). Spax RSX kryptonite gas coilovers. 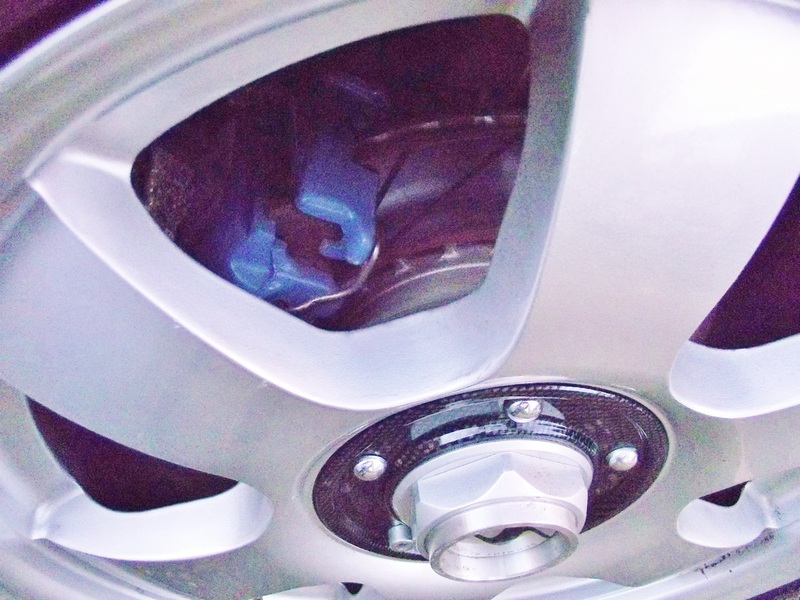 Hi-Spec 300mm front brake discs with 4pot alloy calipers. 23mm Peugeot 406 brake master cylinder. 17in Alessio alloys with Toyo T1-S tyres. Sony Xplod CD head unit. There is also a NOS system in place, all that's needed to take this car to 300bhp is about 4m of pipework and a NOS cylinder. According to the V5 the car was repaired and ID checked in 2008 in its former life as a standard car, long before the modifications, but you can't tell, and as you all probably know, it doesn't take much do that with a car these days. In no hurry to sell at all, if I can grab a few track days in it I will be very happy to do so, so please no crazy offers! Serious buyers only please, no test jockeys or time wasters. This car is in great condition. I'm only selling it because I now have a company car. 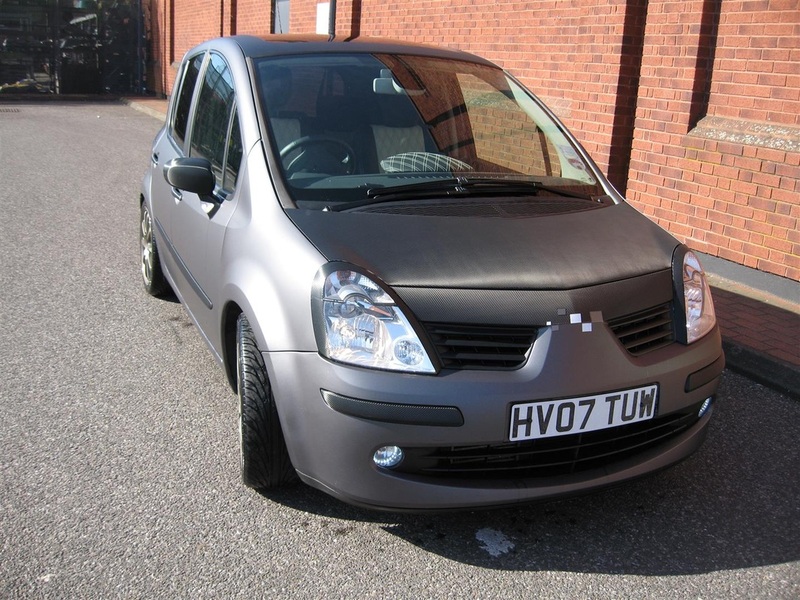 It has full service history, very low mileage for its age 47000 and has 12 months mot! (25/02/2016). I've spent some time changing a few things. It comes with 5 alloys all with low range tyres, Back blacked windows, K&N air filter, janspeed exhaust, white electronic dials, HID lights, green brake calipers and has been lowered. All of this means it's runs smooth and handles great. Will be changing private plate to a standard before sale. 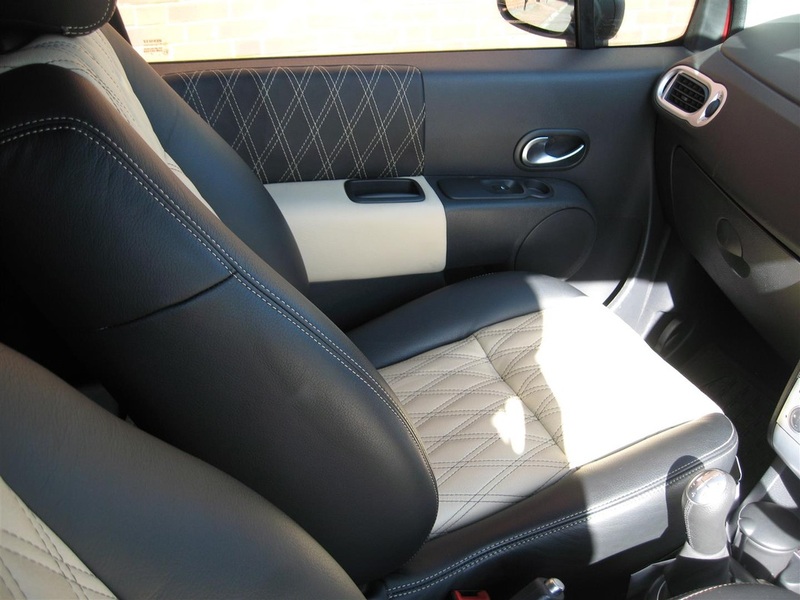 •	MODIFIED CHRYSLER CROSSFIRE Convertible 3.2 (350bhp)Mileage 46498 with 1 years MOT. •	Air Ride Lowering suspension Kit, with remote control. This car was advertised in 2013 March edition of fast car magazine and has hardly been driven. I can be contacted via my mobile 07415 900024. SO much money spent on this car had been a great project for myself selling only because I've got a company car coming and have no space for this. This car has had no expense spared, I've probably missed out so many things on this advert. The number plate is included worth 1000 on its own. It is a previous CAT D however I have pictures of damage and it's very minimal the bumper had slight dent and therefore I bought it and started the project. Every single bit of work done has warranty and receipts right up to the LED light bulbs put in place. I'm open to offers but please nothing silly this car is worth a lot and it turns heads where ever it goes. Previous BMW advertised was sold. Brand new front 330mm rotas disc and complete refurb of 4 pot brembo calipers in nismo gold new seals and Pistons £1000. Pads are ds2500 all round. 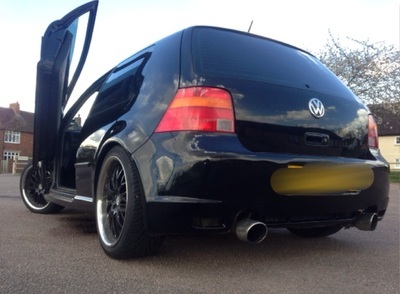 Custom r32 rear pipes and a full box delete and straight 3 inch de cat pipe £650.00 completed. 19inch rotoform reps painted in gloss black with 4 f1 assymetric tyres with at least 6mm all round. 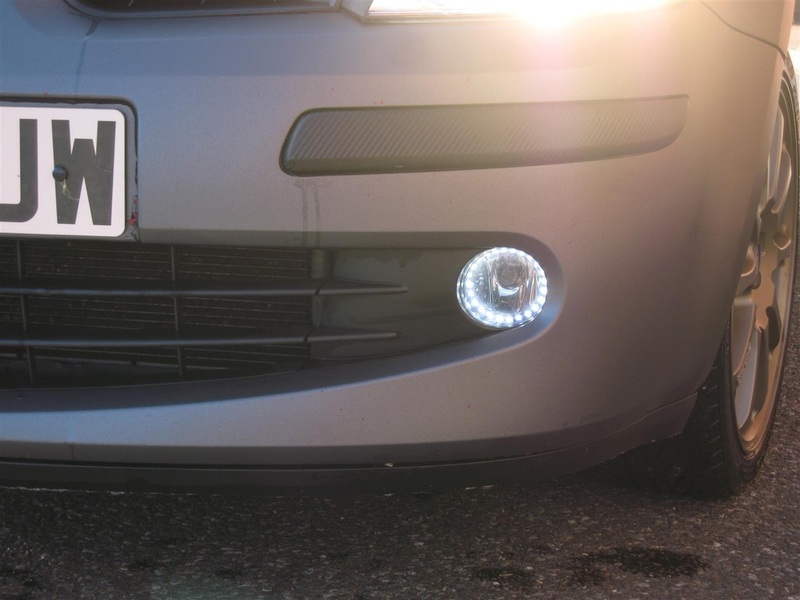 Fully customised led lights front and back mk6 golf R look and Audi r8 front style lights. Full leather interior with sparco bucket seats and r32 rear leather bench and arm rest. 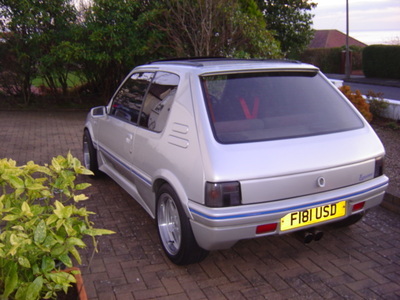 The car was originally silver and is now fully wrapped in gloss white. The car is secured with the latest Clifford remote start and tracking system. Fully installed sound system ! This is a show car ! This is spec not to be missed and is higher than an edition 30. I've probably missed a whole load of stuff. Nothing wrong with it and only used weekends and for shows and events . SUPERB MAZDA 6 FOR SALE. 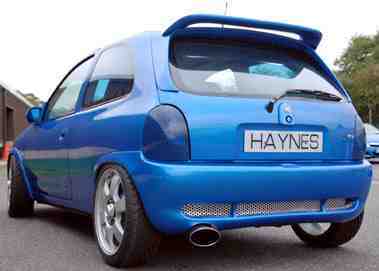 REAR WING AND BRAND NEW REAR DISCS AND PADS RECENTLY FITTED. FRONT HEAD LIGHT EYEBROWS ALSO FITTED. EXTERIOR AND INTERIOR BULBS UPGRADED. WELL MAINTAINED AND LOOKED AFTER CAR. 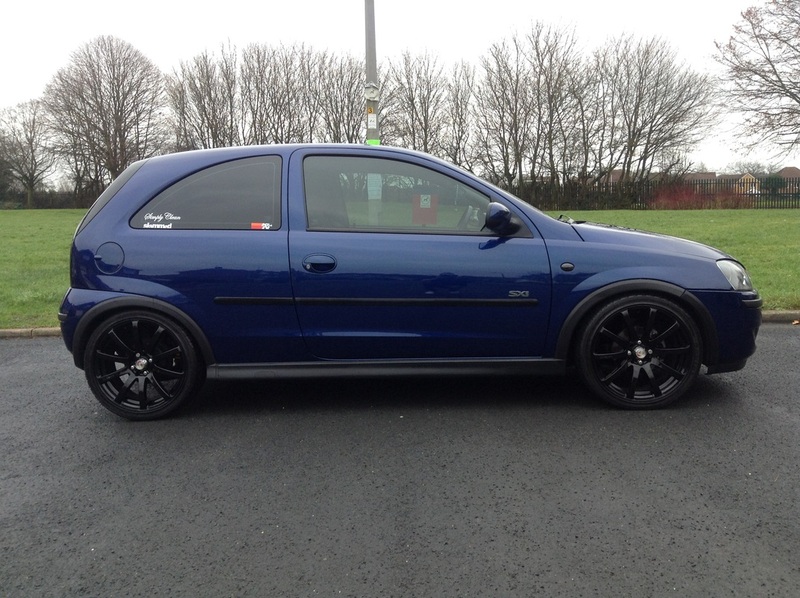 I'm selling my 2008 Vauxhall Astra VXR, low millage (55,000) 240bhp (standard), with a full service history. 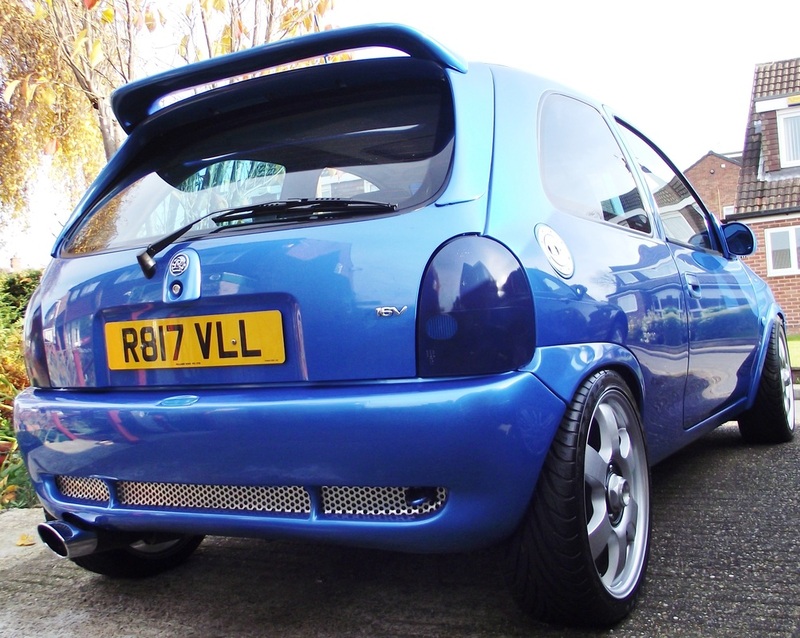 The car is still standard at 240bhp as the original exhaust and engine hasn't been tampered with, the car does have an induction kit and dump valve fitted but can be removed if necessary. I've almost owned the car for 2 years and only put just over 10,000 miles on the clock, barely gets used but is great fun! The only reason I'm selling is because a more practical car is needed for work/family. Inbox for specs but briefly - leather interior and heated front seats, air conditioning and 6 disk changer including Aux outlet. Car has hardly done any miles with 50,300 on the clock. 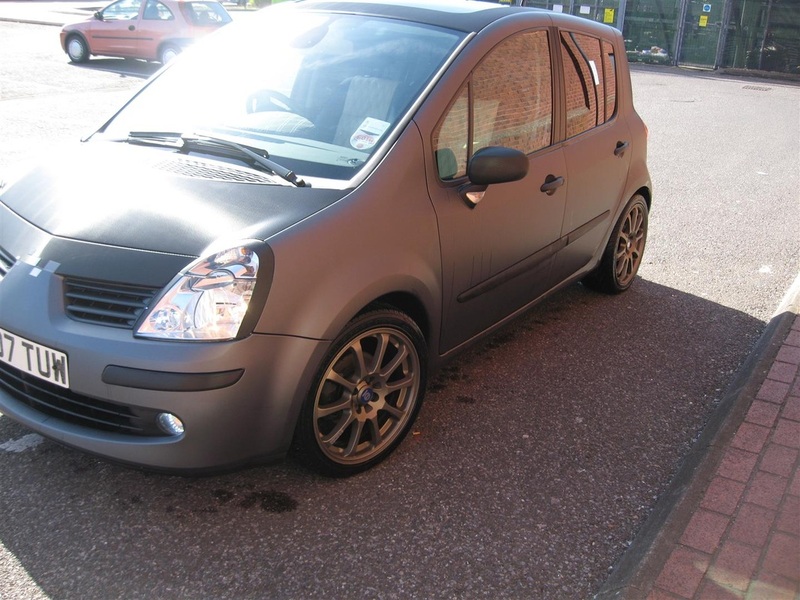 Only bad point about the car is the damage to alloys which is shown in pictures. Daihatsu is part of the Toyota Motor Group, this car, with a different front end design is actually marketed in Japan and the US as a Toyota Bb. It is a genuine UK specification car, NOT a grey import. It has a Toyota 1.5L VVT Twin OHC engine so it goes faster that it looks like it is should and typically returns 36-40mpg. As well as standard features e.g. 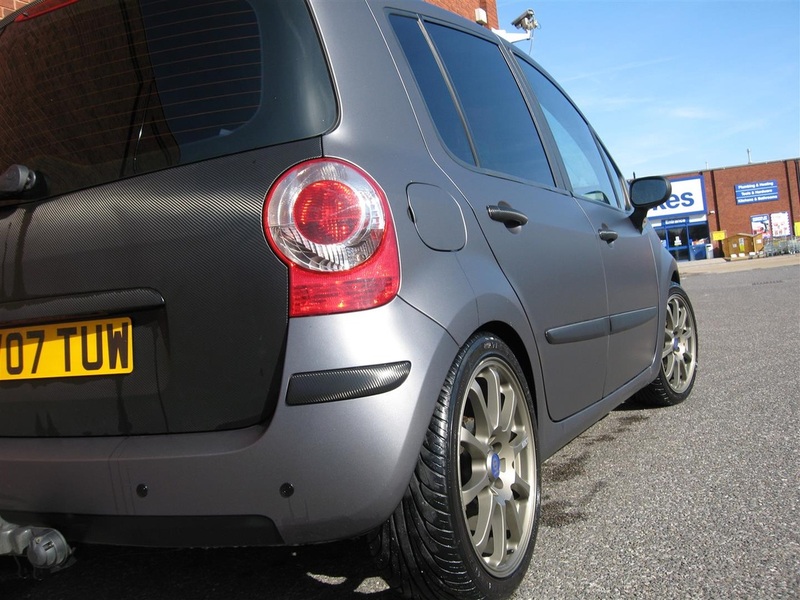 ABS, EBD, A/C, Tinted windows and reversing sensors, this car has aftermarket 17"alloys and -30mm progressive lowering springs. It has a number of extremely rare OE accessories e.g. 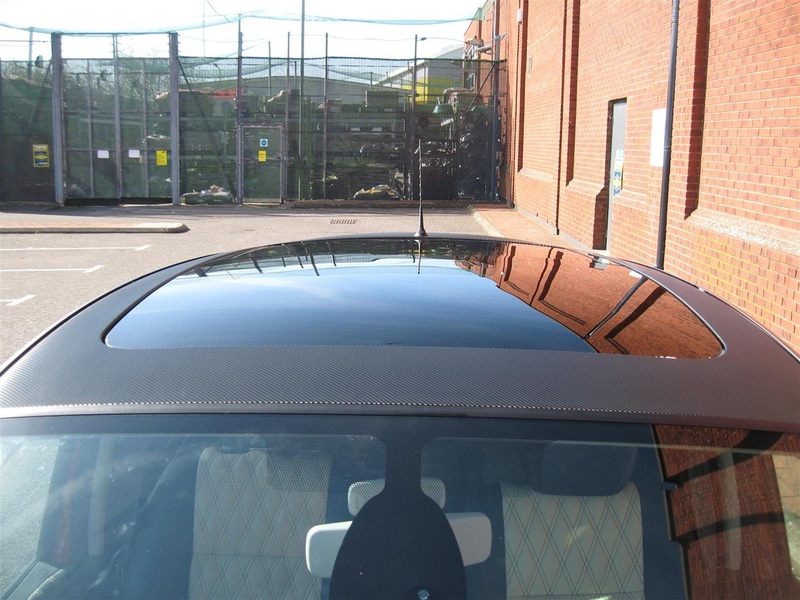 Chrome front grille, colour coded rear roof spoiler, chrome side & rear door trim, S/S effect Dashboard, door panel and sill cappings, colour coded rear lower 1/4 panel trims and a full set of Materia floor mats. Externally it has an aftermarket front lower splitter, DRLs, bonnet scoop, chrome door handles and a custom made S/S twin rear exhaust with chrome end trims. Internally it has a leather front centre arm-rest, leather steering wheel cover, leather gear knob, front footwell mood lighting. The car has recently been restored and is in excellent condition with many performance modifications. 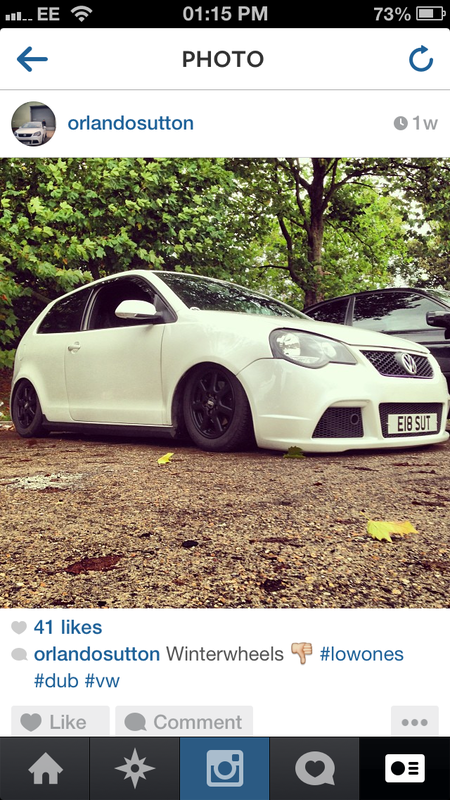 Selling my loved skoda fabia, All mods have been done since I've owned the car over the last 5 years. Sure I've missed some bits but thats a brief break down. Mileage has just gone 111000 , i got the car at 50 000 and my miles have been motorway miles traveling to belgium mainly for work. Very Very Eco !!!! 62mpg on a motorway run. Had lots of fun in this car and enjoyed modding it. Only selling due to needing a van for work and can't afford to insure two. Contact me on 07980134791 txt me first as i can't always answer calls. 1. Since upgraded fuel pump was installed car doesn't always start on the first try. It needs a regulator installed $80 and it'll start no problem. I am selling my fully modded 2007 Escalade EXT. I need to sell to get some quick cash. Everything except for the body and interior has been done, all top shelf and all performance oriented. It has a 427 cubic inch LSX motor with a Whipple supercharger and Methanol injection putting down over 1,000 HP we turned boost down to 10 psi for drivability and now putting down 938 HP. I will list all the mods below. The truck has 111,543 miles. I did the full build at 107,000 miles everything new. I am the second owner of the vehicle; I purchased in 2012 from the original owner. It has all factory option, A/C seats, etc. I have almost $80,000.00 in her. Would like to get $45,000.00. Call me to discuss in more detail if you are interested. Motor: LSX Block. Motor machined and assembled Fast Times Motorworks. Bore 4.125, stroke 4. 427 CI, 10:1 compression (built for boost, all forged internals). Forged & balanced Manley crank. Clevite bearings. SRP flat top with dish relief pistons. Manley forged H-beam connecting rods. Meiling high volume oil pump. Comp cam. Double roller comp timing chain. New LS3 heads, port and polish by FTM. Hardened comp push rods. Comp springs. LS3 valves and rocker arms. LS7 lifters. Innovators West 10 rib damper. Entire engine assembly done with ARP fasteners. INTAKE: K&N air filter, 4.4 inch custom intake pipe with ZR1 MAF sensor, Meth nozzle. Nick Williams 102 mm throttle body. Port & Polish throttle body to match Whipple 2.8L supercharger, port and polishing inside Whipple. Whipple port and polish to match heads. 10 psi on 3.25 pulley. Air to liquid intercooler, Aftco pump, 2 gallon capacity including reservoir. Full innovators west 8 rib set up. EXHAUST: American racing 1 7/8 inch headers, titanium coated. 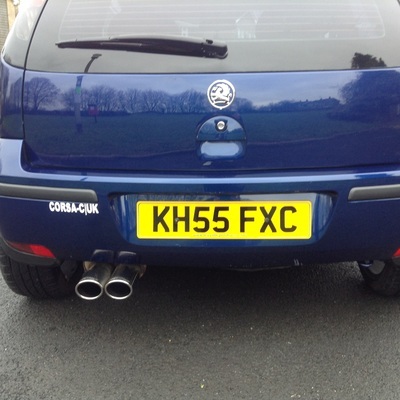 All new pipes from headers back, Cat delete, Corsa muffler with Corsa side tips. FUEL SYSTEM: Custom built two pump bucket set up and wiring, pumps are Walbro 355 litter per hour pumps. 1/2 inch supply line 3/8 inch return line. Inline fuel labs filter, fuel labs pressure regulator set at 60 psi. New GM evap canister. Injector Dynamics 85 litter per hour injectors, built fuel rail. 2 gallon meth tank, led low level light and led meth light on in cab. Alky progressive meth controller. DRIVELINE: Custom built precision industries triple disk 3,000 stall torque converter. TCI flex plate, Alto clutches, new high speed solenoid, high performance trans pump. Transfer case inspected and heavy duty chains installed. Both sides new front half axle shafts, cv joints and boots. SUSPENSION: All new spindles, upper and lower a-arms, Bilstein street truck shocks and progressive rate springs, half axle shafts and ujoints, Hotskisc 1.5 mm sway bars, polyurethane bushings. All new hubs and bearing in front. Firestone air bags in rear, valior air pump. 2 3 gallon air tanks. Rides like a dream. OTHER: Replaced instrument cluster with Platinum model cluster, replaced center console with platinum console. New peddles, and custom embroidered floor mats, embroidered rug in bed. It has the newer lock pick system. The 2013 style platinum wheels and new tires. Boost gauge and two areoforce gauges in apod. B&M oil and tans cooler. New radiator New high performance PRW water pump, hoses, belts, gaskets, engine & transmission mounts. 180 degree thermostat, electric fans reprogramed. New front inner fenders. Attached are pictures of the Mercedes ML500. For Sale Is Power, Performance, Economy And Style - All In One. This Is A 4x4 Which Ticks All The Boxes. I Have Transformed This Car Into A Supercar. This Is In Immaculate Condition Inside And Out. I Have Been Asked Whether This Car Is A Special Edition ML, Even By The Likes Of Range Rover And Audi Q7 Drivers. This Beast Has Been Fitted With A German Manufactured Super Chip As Well As A Sprint Booster. The Performance Chip Consists Of 3 Modes - Economy, City And Race. 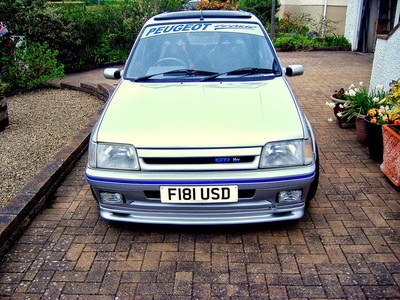 This Car Has Been Professionally LPG Converted Which Is Ideal For A 5L V8 Engine As Fuel Prices Are Always On The Rise. The LPG System Is Prins, And There Is A Certicficate Of Authentification Which Will Come With The Car. The LPG System Has Been Regularly Serviced And Was Last Serviced At The Prins Specialist In Hull In October. I'll Be Completely Honest With You, £30 Of Gas Does Me Between 120 And 170 Miles. There Are Many People Out There Who Claim That The Same Amount Does Them 200+ Miles That Are Lying. I Got This Car Professionally Resprayed In Pearl White. This Car Was Originally Creamy White, Which Didn't Do It Any Justice. 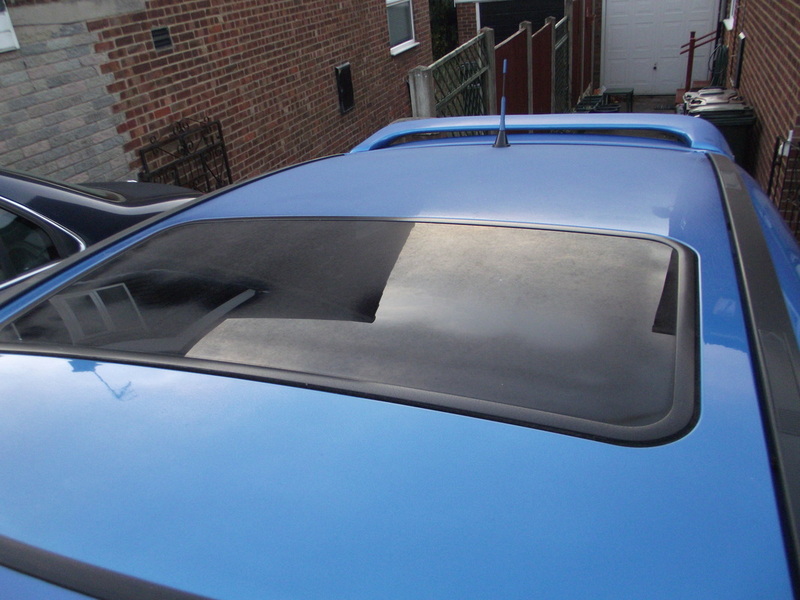 The Respray Has Made This Car Look Brand New, And I Have Been Asked On A Few Occasions If It Is New. 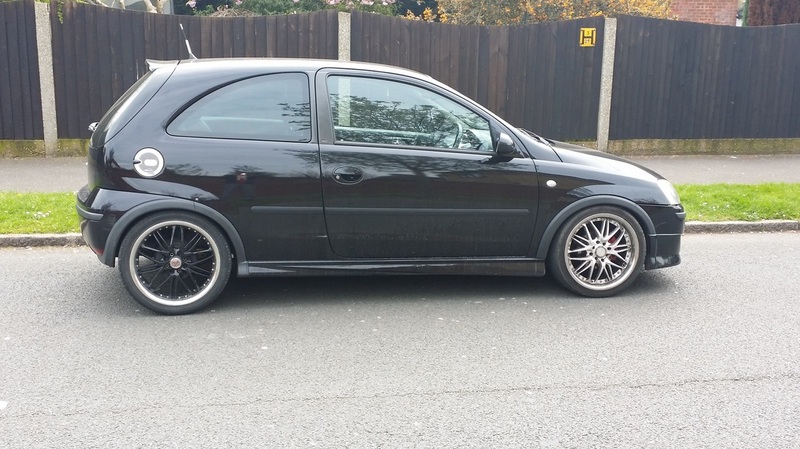 It could do with a touch up now.This Car Has A Brabus Bodykit, Including Extended Wheel Arches,a New Style Front Grille, And 22 Inch Alloys. This Vehicle Has Been On A Dyno And Has A Recorded Approx. 340BHP And A Staggering Tourque Of 440lb/ft. I Have A Certificate To Prove This. This Pulls Away Like A Train. This Car Has Tiptronic Control, And Is Semi-automatic. Viewing Is Essential. This Car Is A Real Head Turner. I Would Be Surprised If There Would Be 1 Just Like This. This Is Truly A Gem Of A Car. Selling Due To The Fact That I Want To Complete Another Project. Sad To See This Car Go, However My Loss Is Your Gain. Call Me On 07773328771 If You Have Any Questions. 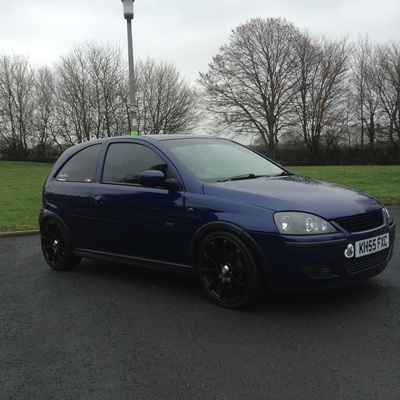 Vauxhall Corsa SRI 1.4l, 2005 plate, 78k on the clock! MOT'd and TAX'd until FEB 2015. 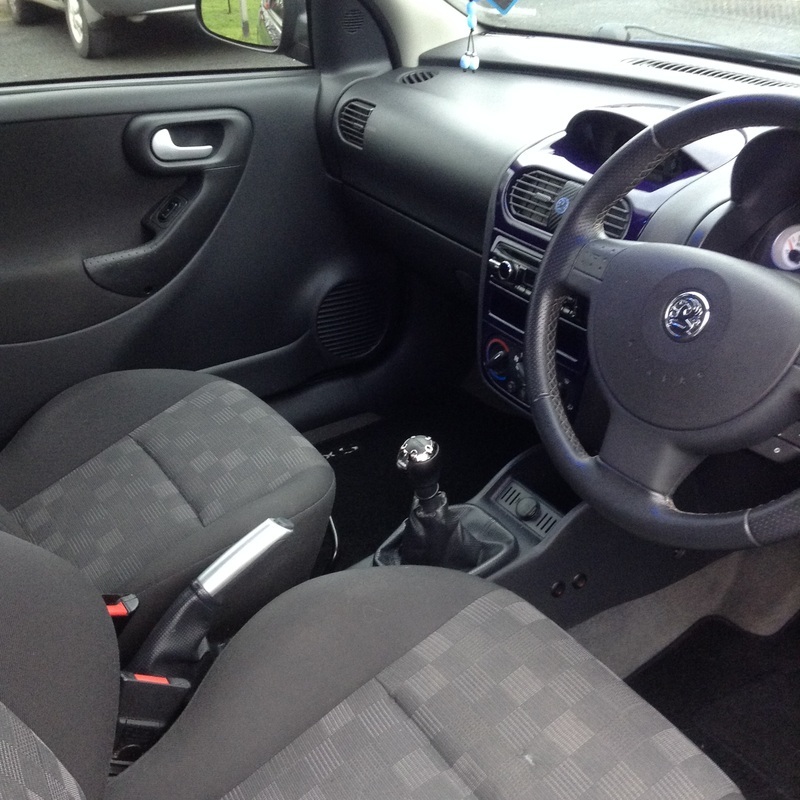 Here for sale I have my Toyota Yaris 1.5 T - Sport! buy and sell your modified cars, advertise for free! As you can see from the pictures above i have put alot of time and money into this car as it is my pride and joy, washed weekly and polished and waxed monthly. It is a 1.4 so great for new drivers and extremely cheap to run and insure and tax. I have had this car from brand new and have tried to keep it in the best condition i can inside and out. Since owning i have modified this car to become a real head turner. It gets attention where ever i go, people taking photos and filming whilst driving and comments and questions when stationary. It is a real attention seeker. May be more but i think that is it. With out all the other little bits and bobs that's £1900 alone. Just had it MOTed and it sailed straight through so it has 12 months MOT. Good condition for its age and HPI clear. Looking for a quick sale so please no time wasters. Silver Ford Focus Studio 1.4 (Zetec 16v) Registration date July 2003. 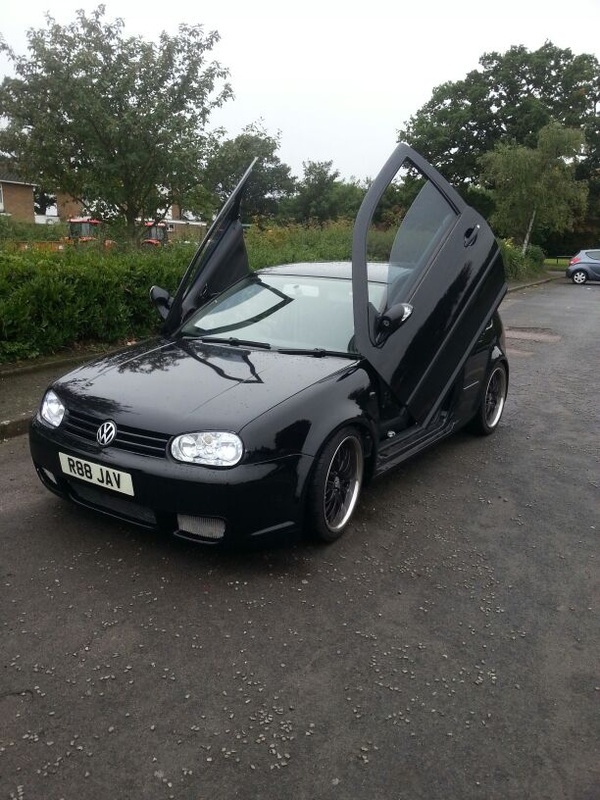 Modified with spoilers, side skirts, alloy wheels and has a sub-woofer. MOT until end of July 15 and tax until the end of October 14. New engine was put in at 52,000 miles. Current mileage 123,000. Very good condition. 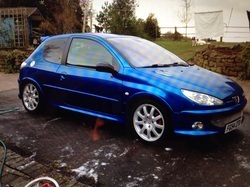 For sale is Pugzy my peugeot 206 limited edition modded 1.6 xs. Has cd player with aux for ipod also sub with amp in boot all wired up. Blue neons all round the bottom with white driving lights at the front plus air horn all wired in to proper swithces under steering collum. Gti 180 interior in not bad condition. This car was my baby and was going to be fitted with 2.0 turbo engine but i just do not have the time for her anymore due to new business. 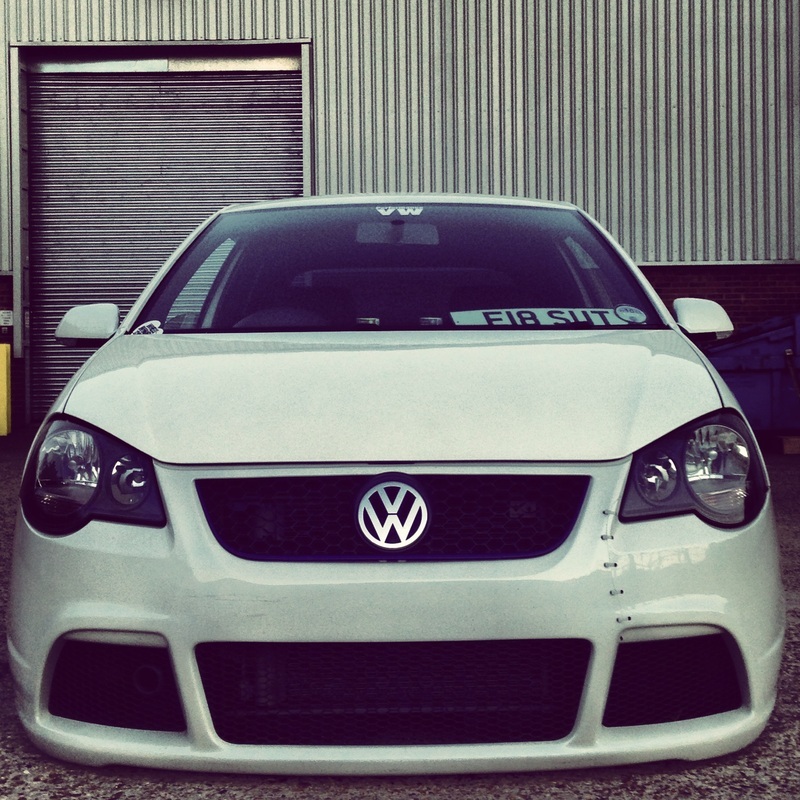 needs a bit of tidying on front bumper & drivers side skirt right underneath. Passanger side front window has had tint pulled off needs rest taking off then either re do it back same as drivers or have them both re done lighter. ** FULL SERVICE HISTORY, TAXED UNTIL MARCH 14 **NEW MOT** Here is my 09 plate seat Leon 1.4 tsi. Mot'd, Have spend over 45k on this car the mods include: Outside - BTCC bodykit, aftermarket wheels, stage 3 air ride each corner is independent comes with a 9 way switch board and two key fobs, lambo doors from LSD, vinyl bonnet and roof and Xeon head lights, Inside - colour coded plastics, led lighting, professional built sound system with top of the range focal door speakers. JL audio amps and a JL W7 25th year Anniversary ,sub all run off a double din touch screen Pioneer head unit Engine - 1.4 tsi running 160 bhp with a cat back 3 inch Stainless steal Exhaust, custom air intake, forge dump valve and a remap The car only has just over 30,000 miles on the clock and is a real head turner any questions phone no time wasters please 5 Door Hatchback, White, Petrol, Manual, Cruise control, Alarm, Steering wheel rake adjustment, Body coloured bumpers, ABS, Immobiliser, excellent condition. Re advertised due to tyre kicker. Open to offers. WELL LOOKED AFTER CAR NO EXPENSES SPARED. HAS A FULL RECORD AT THE LOCAL BMW GARAGE. Please note this is a one off car and these cars are very hard to get hold of especially with these Modifications. 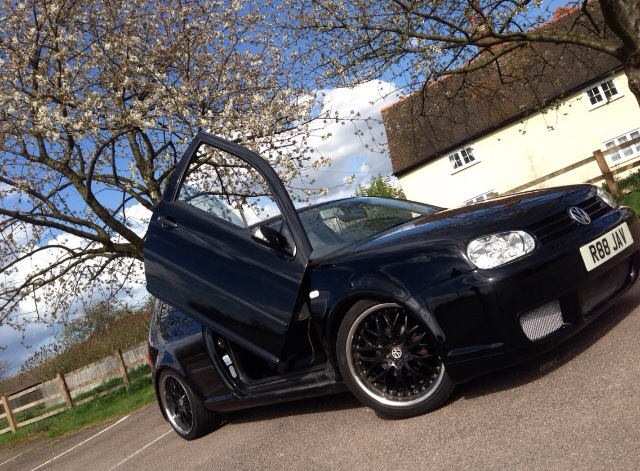 Unfinished project, MK4 GOLF GTTDI fully loaded with extras with no expense spared. Has been my pride and joy for 8years. Selling due to company car and lack of use/space. Overall is a good car, very solid and has a presence on road . will be great fun for someone looking for a upgrade. The car has been parked up on a drive so afew bad points but all age related marks, odd scratch etc easily fixed just not had the time. will need TLC, Estimated £600 to get back in show condition, Wheel referb, Inside/Out Detailing, Minor repairs and Tax/MOT. Priced to reflect the defects. Car comes with over £2k worth of transferable Mods to any other MK4 golf!!! Im open to sensible offers, NOT gonna give it away I'm well aware of what it's worth so please no time wasters. 1.6 litre, petrol, 5 door, black, manual, hatchback, air conditioning, electric front windows, electric mirrors, original stereo system, 2 keys, Remote central double locking, Steering column with mounted audio controls, 5 seats, alloy wheels. Car has just passed the MOT so will have about 11 1/2 months left and has just been taxed for 6 months which will be included in the price. All the tyres have a lot of tread left in them, as does the spare tyre in the boot. All modifications have been done with no expense spared and all professionally completed so they pass the MOT no problem. Car has 105,000 miles on the clock which will increase slightly with use. As you would expect with a car of this age, there are some chips on the bonnet and the odd scratch here or there on doors etc. The only damage worth noting is slight rusting on the drivers side passenger wheel arch. I am reluctantly selling this car as I'm moving to Newcastle and have no use for it. I am not looking for a quick sale and will not settle for a ridiculously low offer so please don't bother making one. Please no time wasters or tyre kickers, genuine interest only. If you have any questions, feel free to get in touch and I will help where I can. Car is currently situated in Barnard Castle. I bought the car in man all modified, theres slight wear and tear but i bought the car like that. I bought the car with no service history and the previous owner said that the car at one point was a right off then he built it back up with all the modifications. I just thought id let you know as i do not want to hide anything from you guys and I'd rather be known as an honest seller. 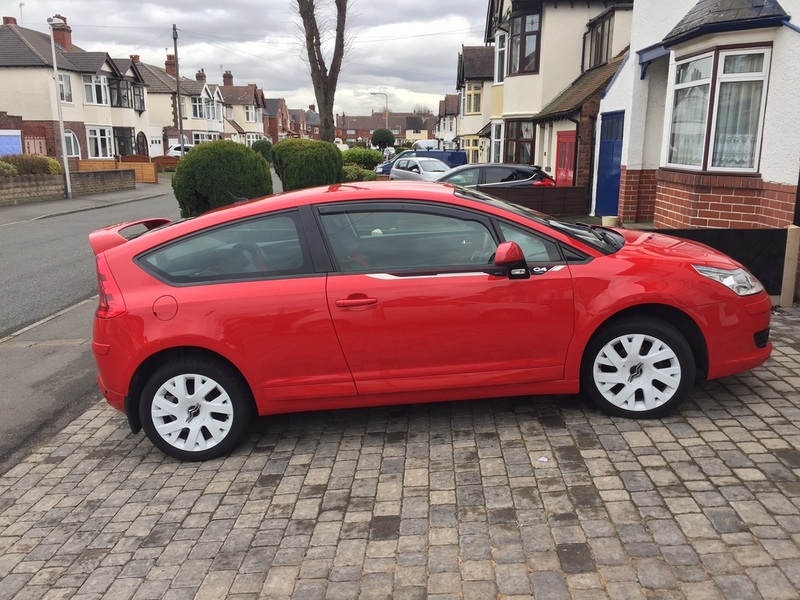 I bought the car for £7500 and im selling it for £6500 ONO if you would like any other information please feel free to contact me on 07788410203. If i dont answer just text and ill get back ASAP. 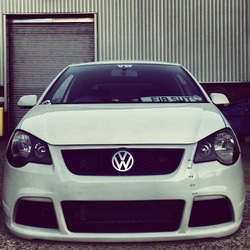 One thing ill miss about the car is when you drive it and everyone stares. Ive had the car for 9 months now but have to sell as I want to start a family. Xenon headlights automatic levelling and washers, Bluetooth Telephone preparation, Electric front windows drivers one touch, Climate control air conditioning, Speed sensitive power steering, Central locking, Height adjustable steering wheel, Tilt adjustable steering column, Electronic Stability Programme, Stereo Radio and Cassette with 4 Speakers, Traction Control System, Front sports seats, Thatcham category 1 alarmimmobiliser, Remote keyless entry, 6way manually adjustable drivers seat. 2 seats. 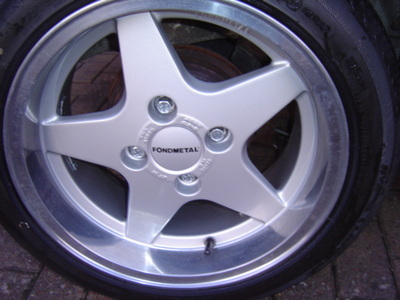 · 18” Yokohama Super Advan SA3 V2 Alloys – RRP £2,000 but are no longer made so ultra rare! · Tyres – Have been replaced. · Front brake pads – I have brembo replacements to go with car. 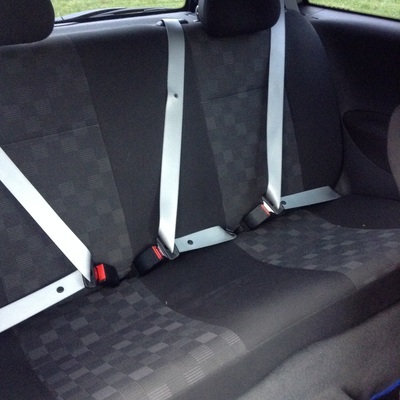 · Drive belts starting to showing signs of degrade – £40 to buy. 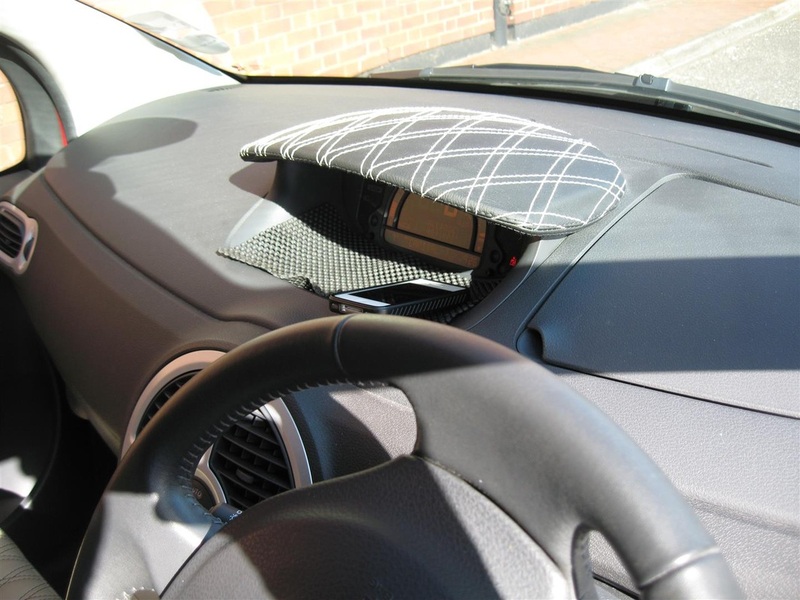 · Drivers side bolster is split – I have always had the seat covered. 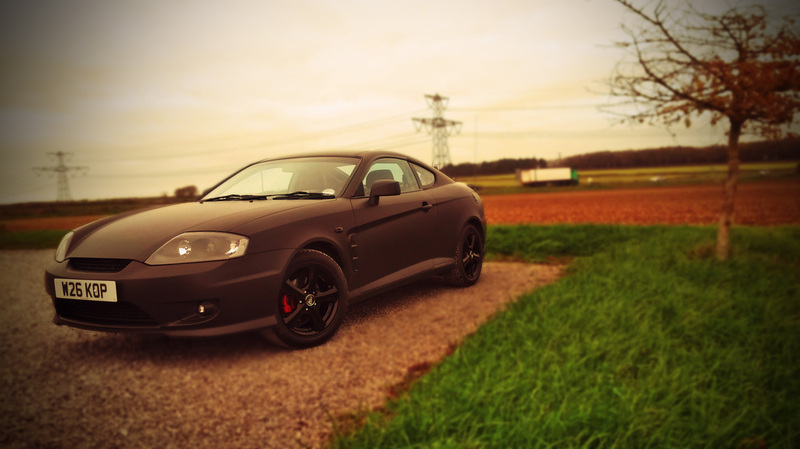 · Slight heat shield rattle after exhaust was changed – never really bothered me. I consider the issues above minor and the car otherwise is in great condition, all repairs, servicing, MOT etc have always been carried out on time without any question of money. Car is 8 yrs old so normal wear and tear should be expected. It’s never wanted or needed anything and a great car. 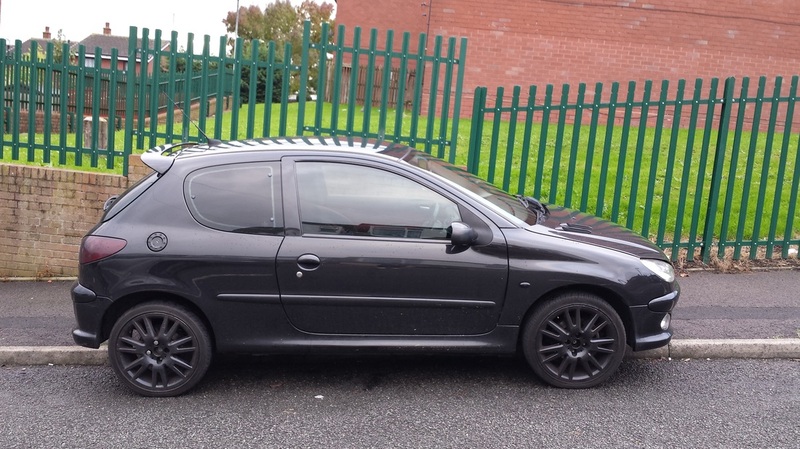 Runs perfect and the power is unreal for a "family hatchback"
For sale is my Seat Leon 1.6 S, 94000 miles. 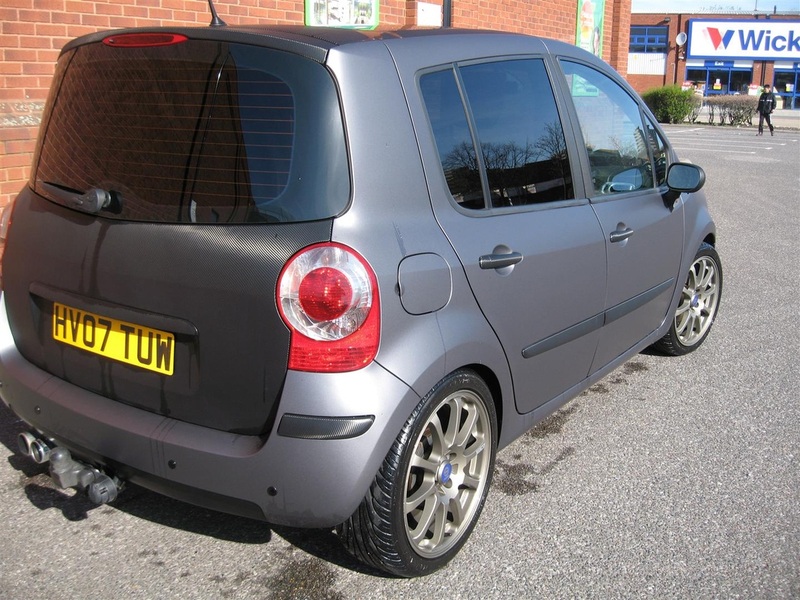 The car has been modified with the following; Rear Window Tints, 18" Fox Racing Alloys, Coilovers, Debadged Front Grill, Debadged Back, Carbon Fibre Effect Door handles and Boot Handle, MP3 Player with Aux-Input. 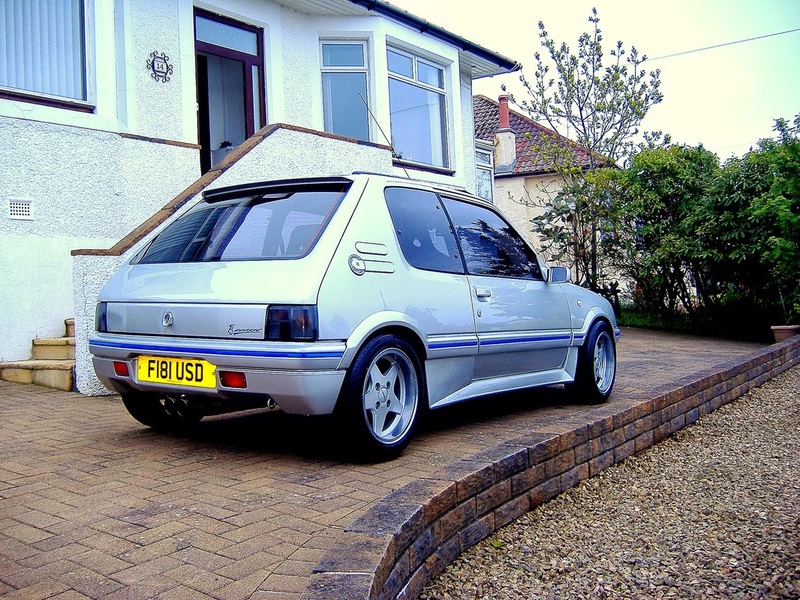 Overall brilliant car but sadly having to sell as house move forces sale. 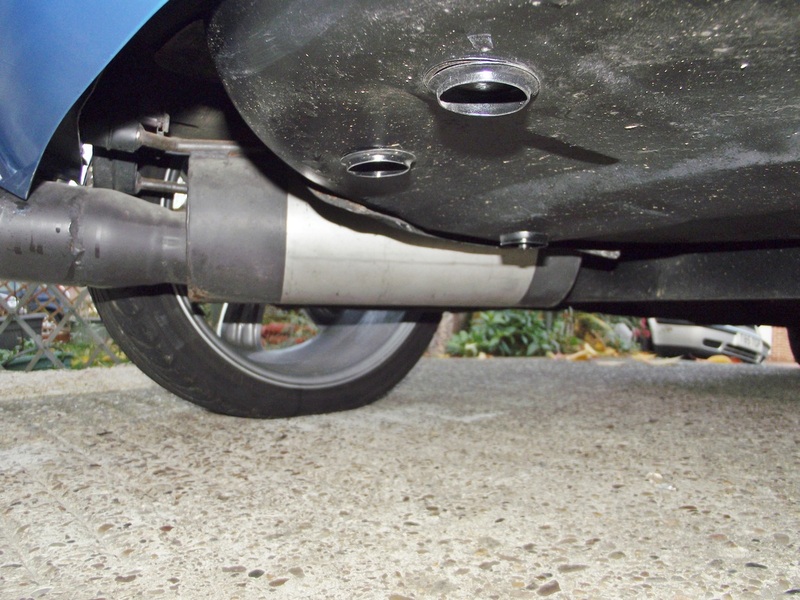 Automech Exhaust, Rally Type - Street. 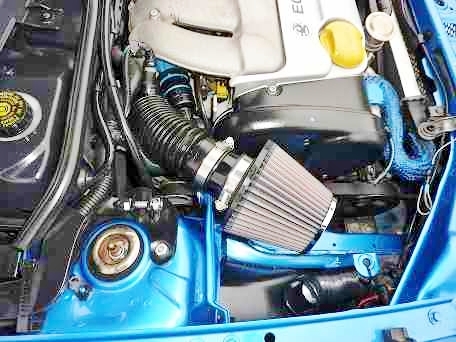 K & N cold air intake filters. 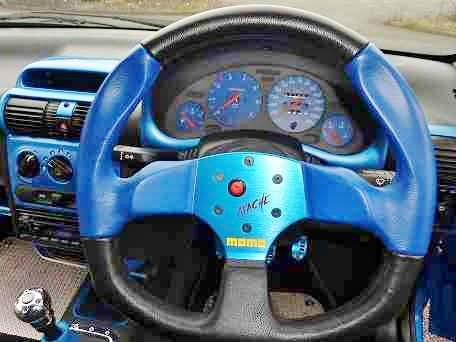 Momo Italy Racing steering wheel, imported. Brand New 15" Tubeless tires with metallic silver alloys and racing mud-flaps. Car made by PROFESSIONAL RALLY CAR MAKER. 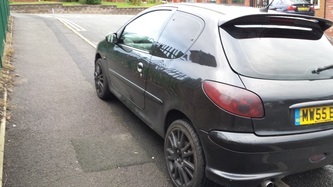 2001 Peugeot 206 LX HDI. 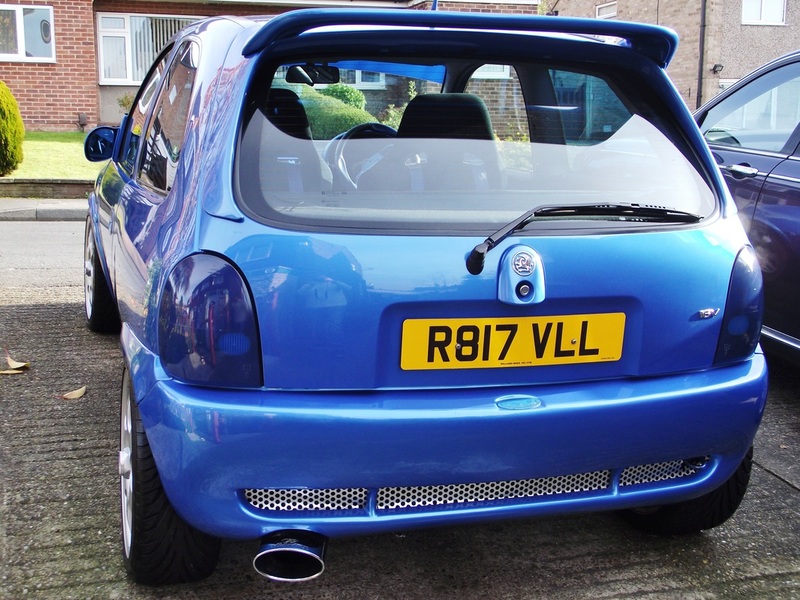 Diablo door conversion, steel wheel rims, stainless steel exhausts, S Racing X4 Blue and aluminium effect steering wheel,satnav, leather seats, inbuilt playstation, PUG sound system, stereo/MP3 system, LED lighting. MOT and Tax. Excellent condition. Many extras. This is Lily - my pride and joy. Reluctant sale due to wanting to start again. Stunning little car that has never let me down. Bought completely standard. All parts imported from all over the world by me and fitted to my design by qualified Body Shop technicians and mechanics. I have had her nearly 9 years. A must see. I quite literally love her to bits and look forward to hearing from you all. All work on the car has been carried out by a professional garage. Drives like a dream, very smooth no bangs or notches. This car will turn heads everywhere you go! People take pictures of it for fun. It's the only one in the world that looks like this it's one of a kind. You are very welcome to have a look and test drive it. 6 months mot and tax! 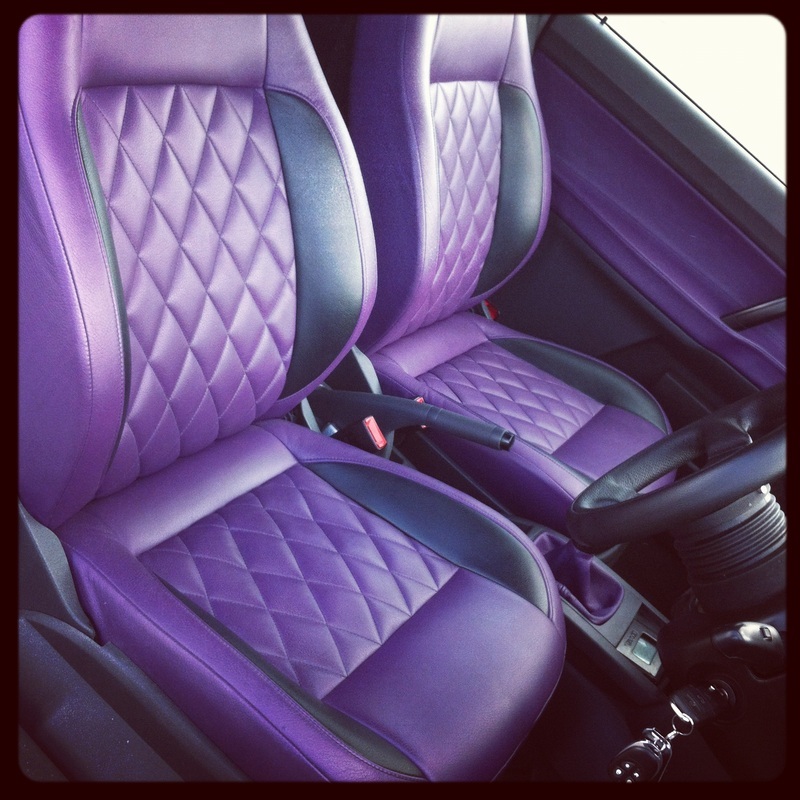 Seat covers,jdm gear knob with suede gaitor. Extra's will come with the car if you want them free of charge. 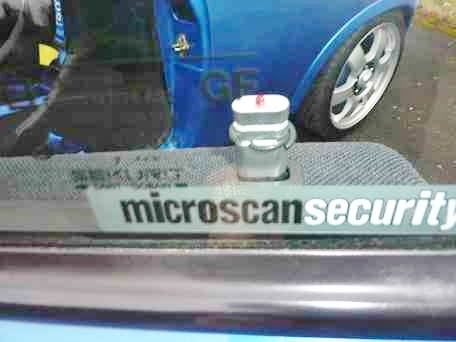 Please note; this car is fitted with a Sigma s4 security alarm. this enables an alarm to protect both interior and exterior with warnings going off if it suspects anything suspicious. This was fitted by a professional and is all hidden away. i use this on a daily basis as its one of the best alarms on the market. Alpine typeR door speakers front and rear, tweeters built into front head lining, really crisp sound! Cruise control, voice activation, just pretty much every factory extra you can have! 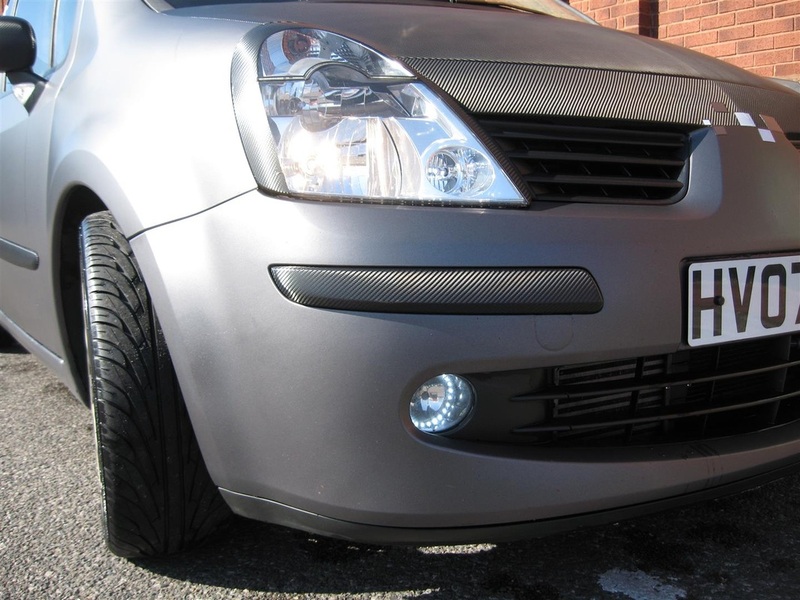 De badged front grille finished in gloss black aswell as the mirror covers, front honeycomb and side gills. 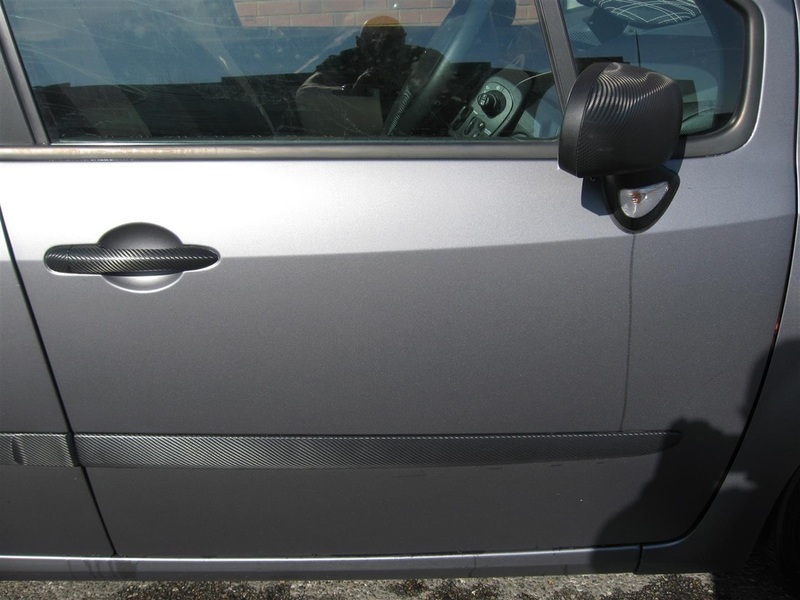 The bodywork is immaculate, I am a painter myself so I like things looking right and I recently removed the front bumper to fill all stone chips and respray, it now looks brand new. Wheels are immaculate, engine bay is immaculate and interior is immaculate. Being in my trade I have a lot of contacts in vehicle maintenance such as mechanics, detailers, valeters etc. this car has been pampered and has been clayed, polished and buffed over at least every 2 months since i have owned it. It has been serviced twice in under 2 years using the best parts available. It has 3 months tax left and 9 months MOT. 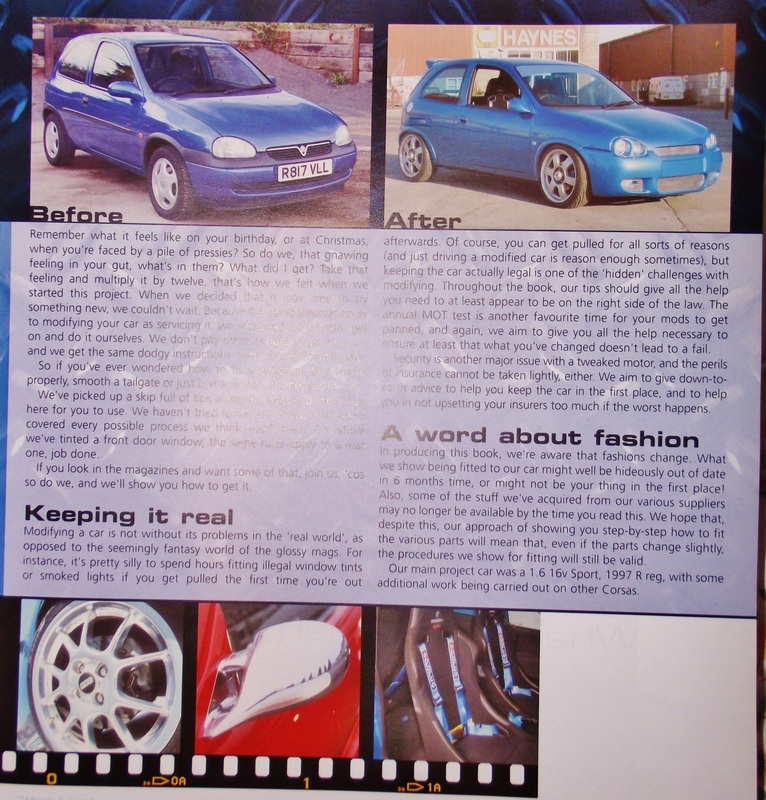 There is no doubt that I have missed out parts and specs of the car, the majority of the work had been done before before I bought it off a friend ( who is a racing driver and really looks after his cars, he still regrets selling me the car to this day ha! ) I have receipts for the majority of work done to this car, all servicing has been done by a good friend of mine Over the last 3/4 years and if you wish I can get proof of that. All in all, this car is a brilliant example of a Cupra K1 and in my opinion I haven't seen one as nice as this. It is a fast car but aswell it is practical on a long run, I've had 36/38mpg which is brilliant considering the power. I have rarely used this car as I work 2 minutes away from my home and my gym is 5 minutes away, I do very few miles weekly. I think I've only put 10k on in 2 years! This car must be seen to be appreciated. It will undergo an extensive valet for the buyer. Registration number W8 CUP is currently on the car, It has been valued and if you are interested in it then this can be purchased separately at a negotiable price or with the car as an extra. If you have any questions or offers please contact me (Sam) on 07767344959 or email me. 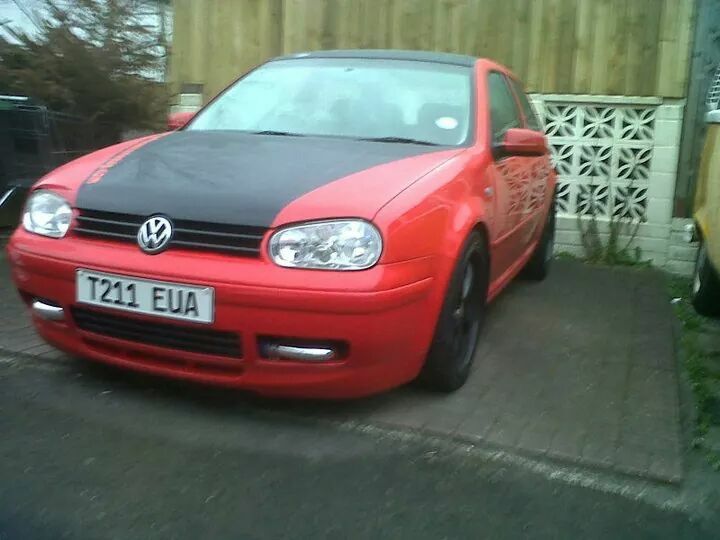 1998/9 red and black golf gti mk4 1.8t for sale. 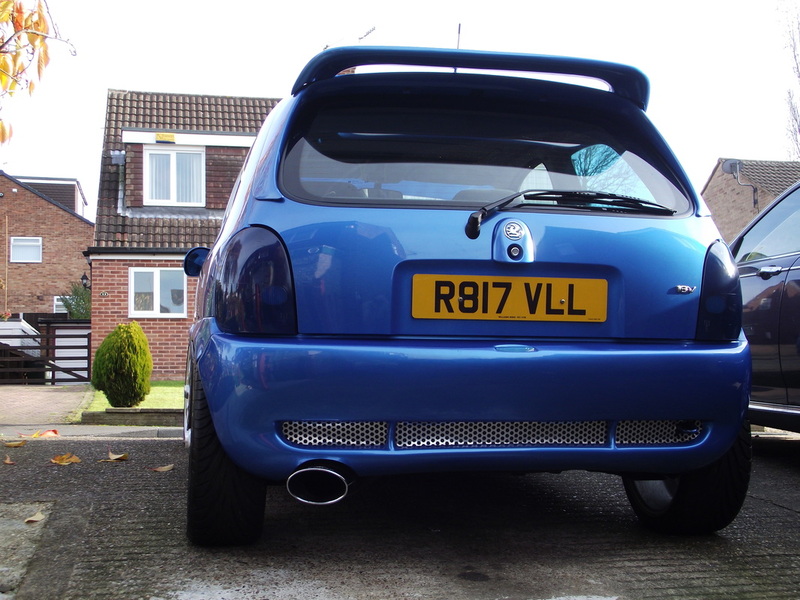 280bhp with great quality engine upgrades. Body work in good condition slight wear and tear marks as expected with age. 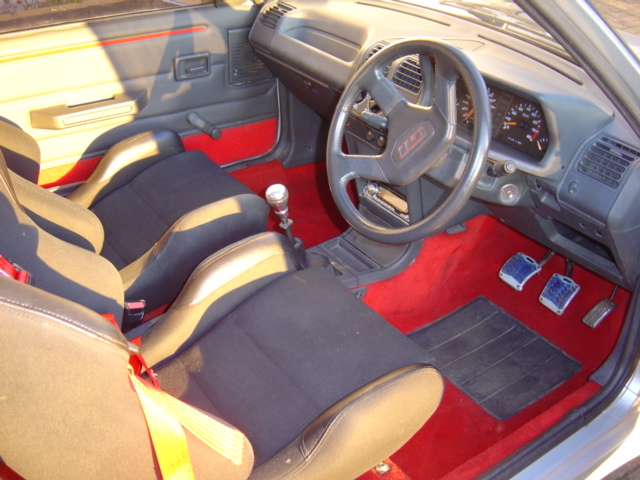 Black and red cloth interior in good condition. 18" black alloys. Pas. 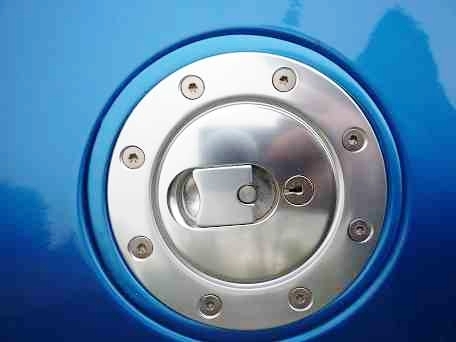 Central locking. Alarm. Electric front windows. Sports exhaust. Remapped. Bottom end engine rebuild 3000 miles ago. 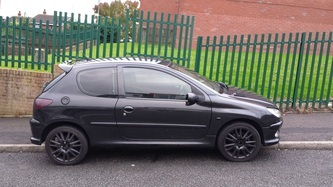 Tax and mot £2800 ovno. 2007 proton savvy 1.2. Took this car in as a part ex. 2 owners on log book. Full service history. On log book down as an automatic but is a manual. Previous owner says it's cheaper on insurance. Odd marks as on pictures. Runs sweet good on fuel. Ideal first car. Mileage 58000. 12 months MOT, 6 months tax. Will deliver for fee. Email any questions. A few niggly bits with the exterior but only due to age of car, this is generally a really nice fast little car that has brought me 2 years of pleasure and has had no reliability issues what so ever. Runs like a dream it really does! 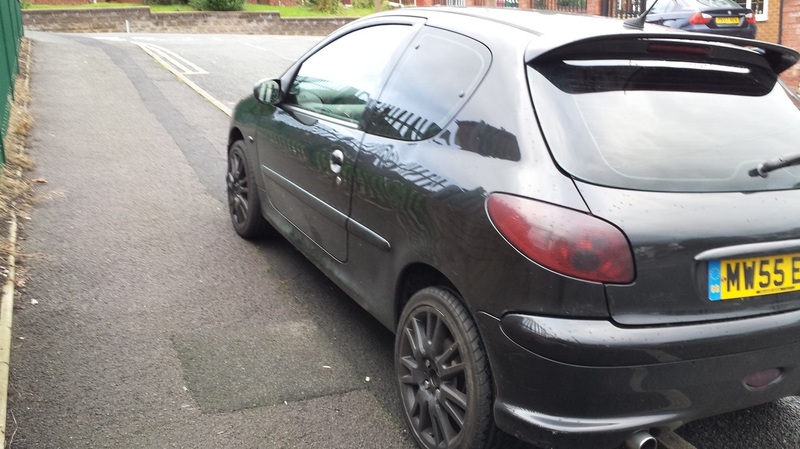 Here is my 2003, mk2 citroen saxo 1.4 furio with just under 80k miles on the clock, as you can see I have put alot of work into it, it's been my project since I past my test it's been lowered all round and has black deep dish alloys and low profile tyres all round. It's has black window tint all half leather interior with a massive sound system on the parcel shelf but it hasn't been hooked up yet, on the engine I've put a straight through exhaust system and a massive air intake system and a engine strut with a bonnet raise and a carbon fibre grill, a novelty number 1 pool ball gear knob and a sticker bomb petrol cap. 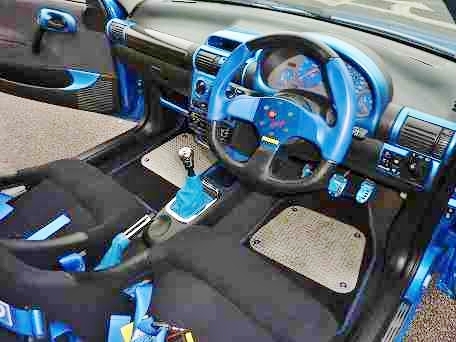 The car has co-ordinated blue black and yellow styling throughout. -And because I have has it for years there are a few bumps and dents but nothing noticeable or major. -the sun roof has come out of the rails so it doesn't open. Looking for a quick sale because my littlen is on the way. Great driving car very comfortable even with the hydraulics suspension in. I have added body kits and upgraded the standard lights to led angle eyes. Body work and paint work like new always detailed fully before shows car has been always very well looked after and will be sadly missed! This Rover is truly unique and very little remains that was original to the car many upgrades and changes have been made over the years to produce a great car to drive. This car has very recently had a lot of work done to her and as a result should require minimal maintenance for the foreseeable future. Brakes: Brake pipes have just been replaced along with front discs and pads. The discs have been upgraded to MG ZR discs. Engine: recently replaced the new engine only has only 45085 miles on. The engine also has an induction kit fitted. FOR SALE and FOR FUN!!! Built not bought - Honda Prelude 3rd generation, 2.0 EX Automatic. A very cool retro looking car, a proper Japanese breed Honda Motor. She has 98k mileage, it is Moted and Taxed, mechanically sound and wrapped in quality Hexis vinyl. She is lowered on fully adjustable XYZ Road/Track coilovers worth of £800. 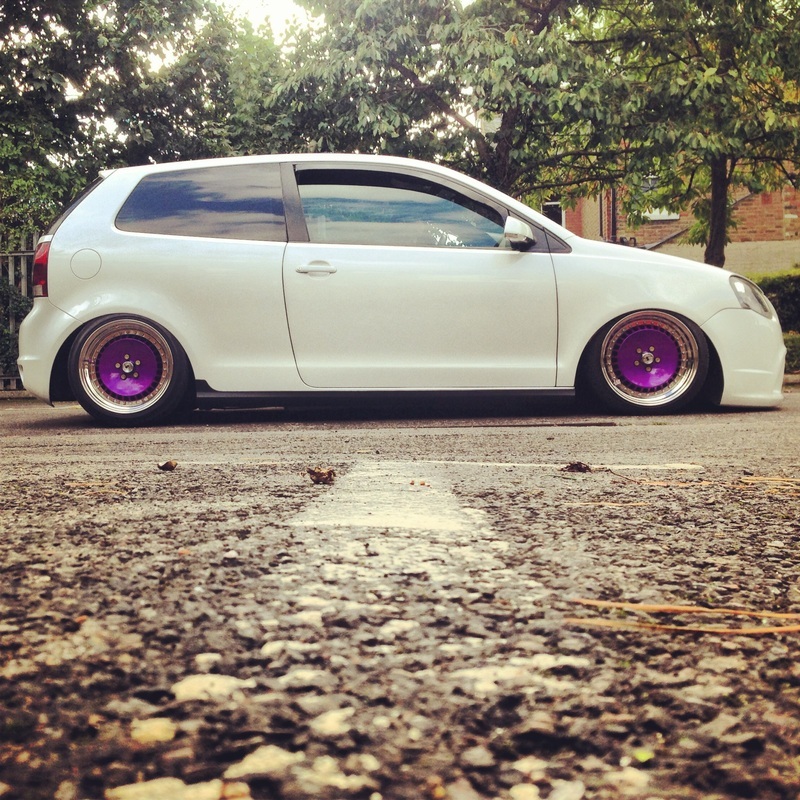 Sits on 17" Dare RS Stance alloys with stretched tyres (front 9", rear 10"), tyres have plenty of tread left. She has customized exhaust, new downpipe and stainless steel silencer, that gives her a nice roar and bubble sound when idle. If its loud? I don't know. 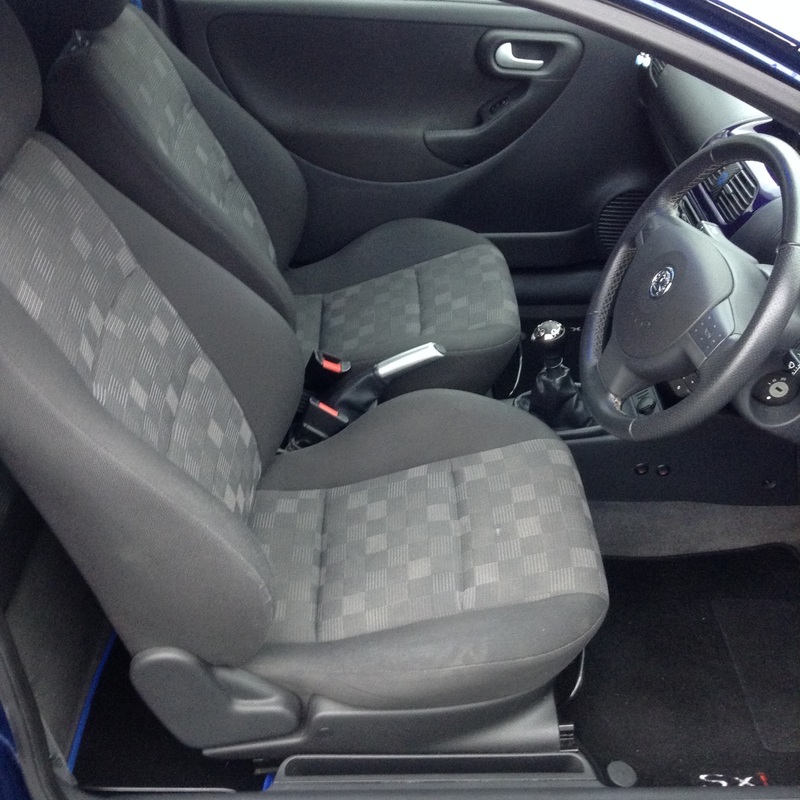 Noone complained yet and I like it a lot :) She got leather seats from Hyundai Coupe (still Japanese, right? ), has and electric sunroof, electric windows and mirrors. 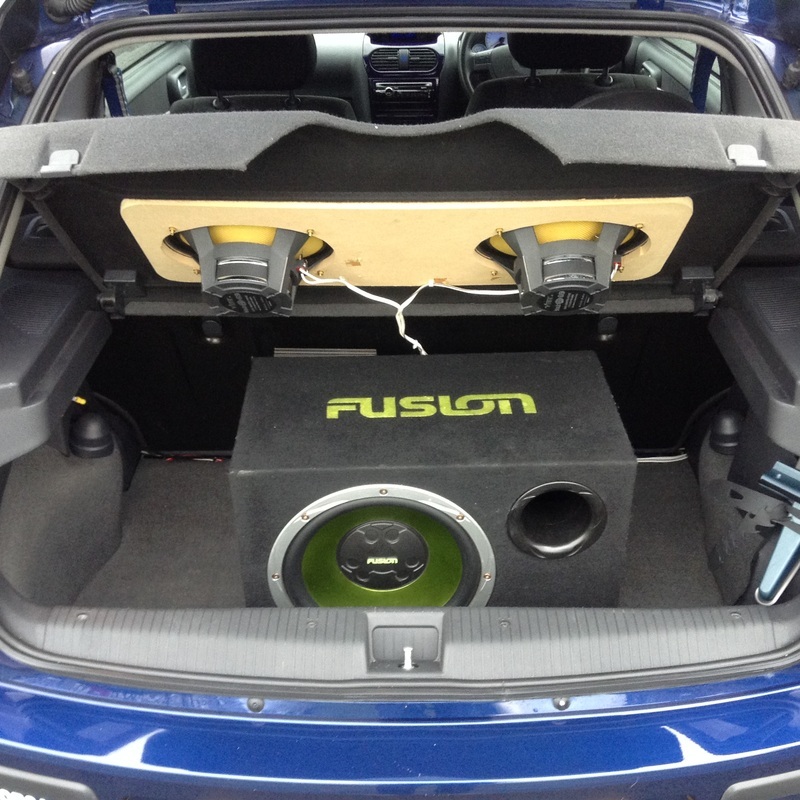 Rear seats were replaced with Custom built music box with two Vibe 12"subs 1200W powered by Pioneer 2400W amplifier and Alpine stereo. She is Red originally, but now wrapped in Diamond Sparkle Gloss Black and it suits her much much more. 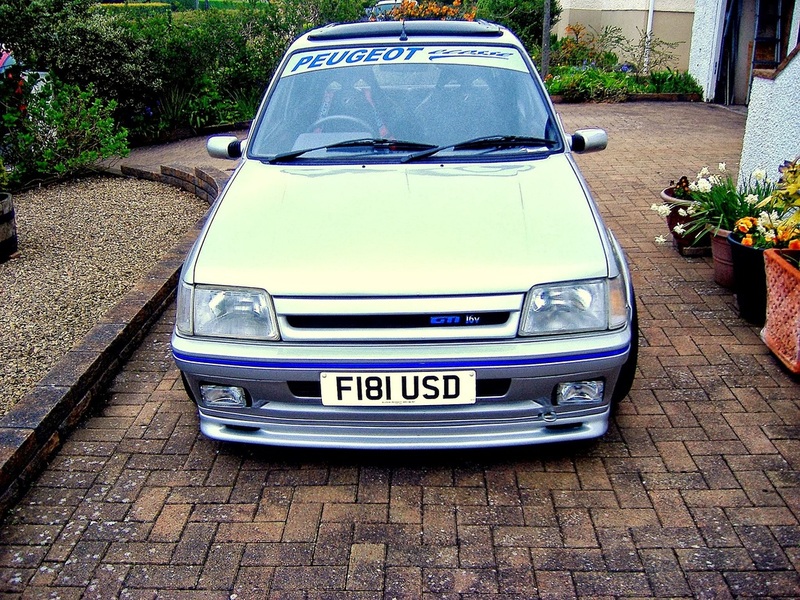 This car is a real eye-catcher, it stands-out from the crowd and music is loud enough to set a DJ spot on the car park PRICE: £3500 Feel free to make an offer, or px, or swap. Or you wish to upgrade it more? Then let me know, can do additional bespoke built. ANY Questions, contact me anytime on 07792 089224, or email Genuine buyers only. Viewings by appointment only. 8) The car has a new CIC idrive system from the LCI e92. Extremely fast + high definition display. 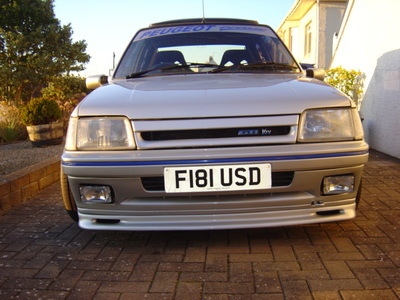 Engine: 2.0 ST Engine fully fitted with all genuine ford parts engine bought from FORD DEALERS with receipts, Yellow top battery, split relay so 2 batteries. 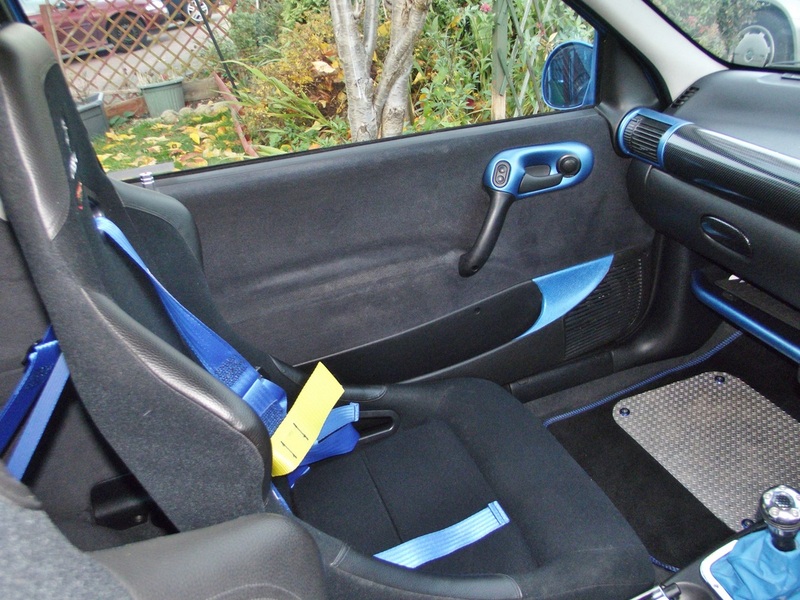 Interior:Fully custom one of interior made with leather and alcantara., St seats in black leather and blue alcantara. Exterior: Full Pumaspeed JWRC bodykit professionally fitted by EliteBodyworx from Hull. receipts for body kit will be supplied, Porsche Riviera Blue paint on the car (very rare paint cost alot from Porsche), fully smoothed and delocked, debadged doors and tailgate. so doors open via a popper under the wing mirrors and the boot opens via a button in the car, LSD Lamborghini doors again professionally fitted by Autograph, cost £1500 and still under warranty from LSD, custom fuel cap in the rear bumper (iv never seen this mod before) and black vinyl roof and tinted windows, R8 black headlights and rear LED Ultra lights in black, SWA spoiler with black Ultra brake light. ICE (audio) & Security: A true one off design really nice and expensive boot build with all the audio been imported from the USA (same audio as XZIBIT from Pimp my Ride), 2 15 inch Audiobahn Immortal subs (very very loud), 3 sets of Oxygen audio components with an Oxygen audio amp, 2 necvox screens one 7 and 10 inch, yellow top battery installed in the boot well with a split relay to car has 2 batteries, boot build finished in blue and black alcantara, an Audiobahn bass knob (to increase the power of the subs or not). Very rare, head turning, immaculate, low genuine mileage, practical, fast, that's pretty much sums up this car. And it's with regret that I'm having to do this and place my gorgeous Toyota Altezza RS200 Z edition up for sale. It's a JDM(Japanese Domestic Market) import, RS200 Z edition which was the top sports model available in Japan. It was imported in March 2010 and registered in April. It had just 1 owner from new in Japan which explains the condition and serious low mileage. I have all the Japanese import paperwork verifying the mileage and stating the auction grade on the car is 4, which means it's in extremely good condition. The highest auction grade is 5, which is equivalent to showroom condition. Being an import the speedo was obviously in kph, it was converted into mph at 28,956 kilometres which equals to 17,992 miles. The odometer is now reading 53,683. It has covered about 24,727 miles since I brought this car. So, the overall mileage is only 42,719 miles. The exterior is finished in Super White(company white not after market spray) which is a rare colour is Altezza's and in my opinion the best colour as it's bright shiny white which is very eye catching. 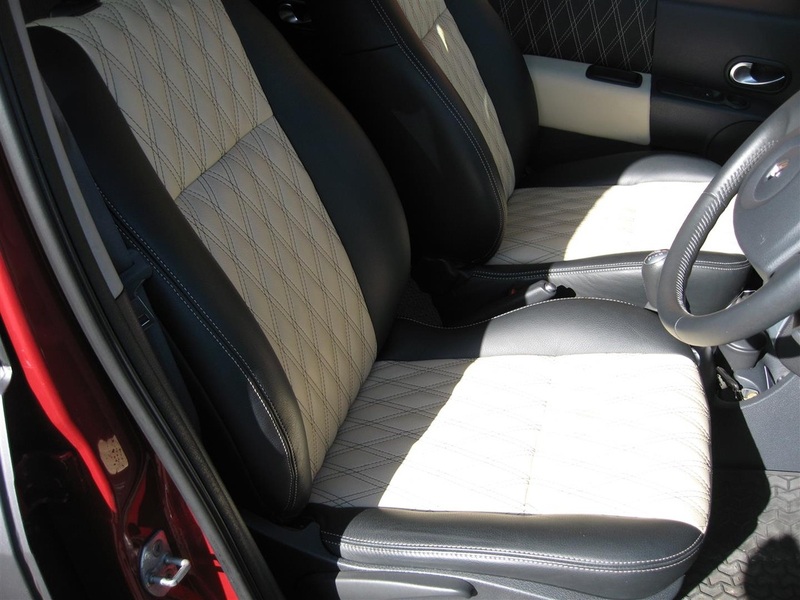 The interior is just as clean and well kept as the exterior, with everything being original and as it left the factory including the mats. I am a non smoker and have not allowed a single person to smoke inside the car. The engine is brilliant Yamaha tuned Beams engine which is a 2 litre 4 cylinder high revving engine producing an awesome 210 bhp, unlike the UK IS200 which is small capacity low power 2 litre 6 cylinder engine producing just 150 bhp. I have the original Japanese Toyota service book, along with all the paperworks to confirm mileage, date of import/registration, etc. The gearbox is an auto with F1 style button shifts on the steering wheel. You can drive with full auto mode or just flick the gearbox to M mode and use the buttons in the steering wheel to change the gears. - Cat 1 car alarm fitted. I have the certificate to give to the insurance companies if needed. Please note: THE PRIVATE PLATE(S9 PUN) IS NOT INCLUDED IN THE SALE, AND WILL BE REMOVED TO ORIGINAL REGISTRATION BEFORE SALE. NO TIME WASTERS AND DREAMERS. TEST DRIVE CAN BE POSSIBLE IF FULLY COMPREHENSIVE INSURANCE CERTIFICATE AND FULL DRIVING LICENSE SHOWN. CAR VIEWING AVAILABLE AFTER 8PM ON WEEKDAYS AND ANYTIME ON WEEKENDS BUT NEED TO ARRANGE BEFOREHAND. YOU CAN TXT ME BUT I WON'T PICK UP ANY HIDDEN NUMBERS. For sale is my modestly modified Morris Minor. A 1962 model she is listed on the MMOC 'dual personality' register as she has the single piece windscreen but still has clap hand wipers, and has one of the last of the beautiful 3 spoke chromed steering wheels before they introduced the bakelite ones. She has absolutely no structural rust or mechanical problems, starting and running first time every time whatever the season. This car is completely reliable and suitable for use on today's roads, I've driven her from the Channel to John O Groats, used her as a wedding car and drive her whenever I can. She still polishes up nicely so I have resisted the temptation to respray her so far. I have spent a great deal of money on this car, much more than I am going to get back when I sell her. In addition to being rust free (something you can easily inspect as she isn't covered in rust proofing - I'd rather see what was going on and deal with it than cover it in gunk and hope) she has been largely rewired to support the numerous modifications. She is fitted with a reconditioned 1275 engine (15000 miles since) and the stronger 1098 gearbox. I have also had the differential replaced for peace of mind. This enables her to keep up with the traffic and even do motorway speeds. There is a 'performance' exhaust and K&N carb to support this. The brakes are servo assisted and a front anti roll bar is fitted. She has 4 inertia reel seat belts too. There is electronic ignition to replace the old dynamo system, decent headlights, a reversing light, electric washers and heated screens both front and rear. A spark booster is also fitted, and a bigger battery to cope with it all. Finally a larger fuel tank is fitted to extend the range, and the carpet, front seats and door cards have been renewed. For security there is also an immobiliser device. What you are buying is a Morris that looks completely standard, but is more practical for regular use, a Morris that I like to think is something like the car they should have built. A classless vehicle equally at home outside a country house or in an urban street she opens the door to many a conversation and is very good at being let out of side streets as everyone just grins & waves at her! All of the work has been done by professionals (Minor Miracles in Devon and a local independent workshop) which if I'm honest is why it works - I stick to the oil checks and greasing! I have a few spares to throw in, and a roof rack and boot rack too. The car has recently been fully restored and is in excellent condition with many performance modifications. It has a peogeot 405 Mi-16V engine with 2¾"twin centre exhaust. Lowered suspension with V-max coil overs and modified torsion bar. Uprated Tarox front disc brakes and mirror polished Fondmetal wheels. The body is rust free and has Ecosse auxia lip spoiler with Ecosse special edition front grill and the interior has Corbeau reclining front bucket seats. Road taxed until July and MOT until December 2014. This is a very fast one of a kind head turning vehicle that sounds amazing. 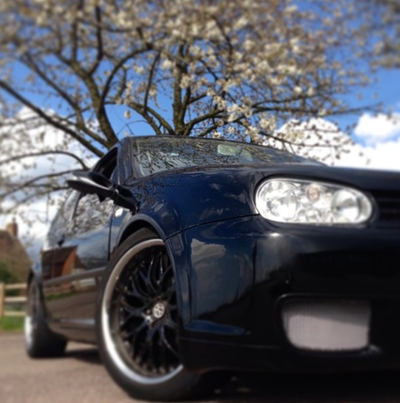 This car has been my pride and joy since i passed my test, one previous owner, lots of money been spent! Unfortunately having to sell due to moving abroad. looking for a quick sale if possible. This car has been loved by me and is looking for someone else that will love it just as much. 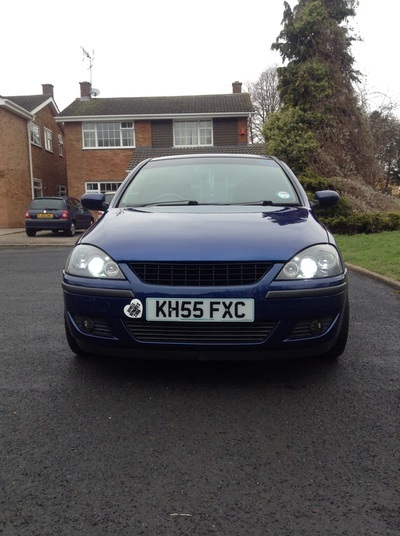 FOR SALE, VW GOLF MK5 1.6 FSI in SIlver. Only 69k on the clock. Solid Car in great condition. Has new coil packs fitted, new windscreen wipers, new CAT fitted by Pullman Volkswagen last year, windscreen deflectors. The car car height adjustable suspension which can be manually raised or lowered. I can raise to car ready for purchase if requested. The car runs spot on. No clanks or bangs, very smooth. I bought the Car from Pullman Volkswagen 2 years ago, all finance is paid and the car has been looked after. Comes with 6month Tax & MOT. Call / Text for a viewing. 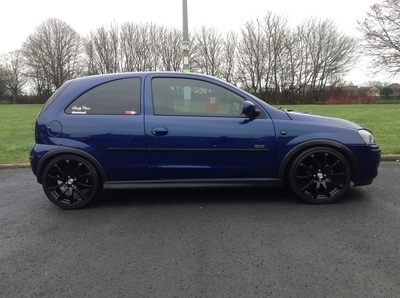 Got my 1.2 Seat Ibiza for sale. Covered 55.000 miles but will increase as I'm still using to travel. Serviced every 10.000 miles with full service history. Last service was done at 52000 miles. Just had new front tyres put on. It is quite nippy for a 1.2 you will be surprised. Nothing wrong with the car, drives perfectly. A few door dents here and there but nothing that noticeable. Come with 2 sets of keys and all paper work. Has been treated very well, selling due to buying another car. Sounds and drives fantastic, cheap insurence. Welcome to come take a look. Looking for £4500 or very nearest offer. No idea of BHP as I know that will be everyone’s first question but runs with no faults. 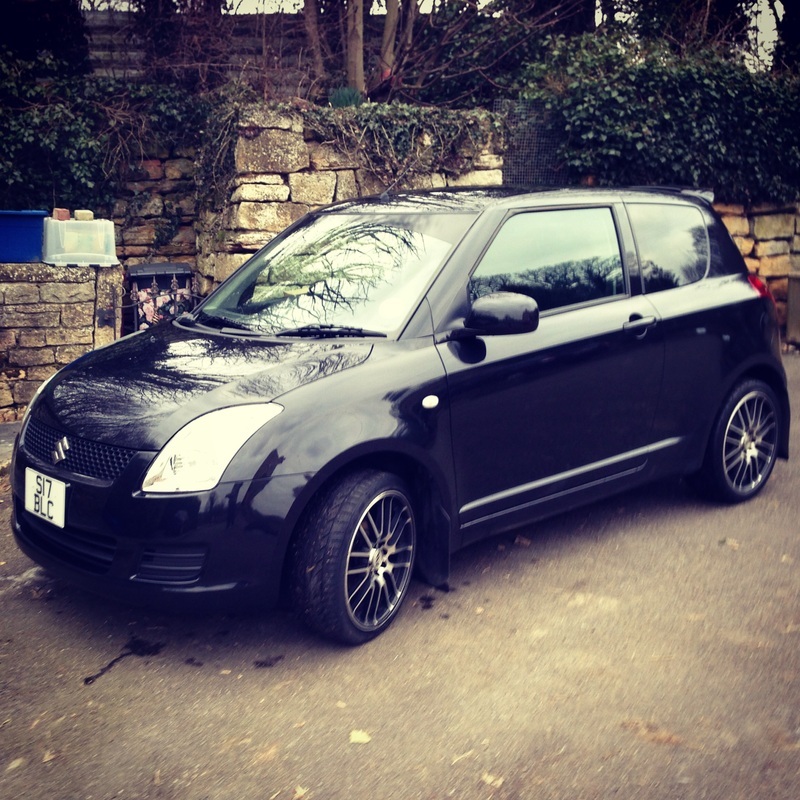 3 Doors, Manual, Hatchback, Petrol, 46,000 miles, Metallic Cosmic Black pearl. Full service history, PAS, ABS, 17 " Alloy wheels, K&N induction system, Full leather interior, back 3 window tints, 4 x Suzuki mud flaps, Sun visor strip, Chrome exhaust tip, Body coloured bumpers, Front fog lights, Tailgate Spoiler, Front Electric Windows, Electric door mirrors, Heated door mirrors, Radio/CD, Audio Remote Control, Remote central locking, Alarm, Immobiliser, Front head restraints, Height adjustable drivers seat, Rear headrests, Folding rear seats, 3x3 point rear seat belts, Isofix child seat anchor points, Drivers airbag, Passenger airbag, Side airbags, Rear wiper. Insurance Group:4. Need to sell ASAP, reduced from £5700!!! Very sad to see the car go as its my pride and joy but need to purchase a diesel due to a lot of travelling. Cars a real head turner, gets attention everywhere it goes. Only 1.2 so good on insurance, perfect for a young driver. First to see will buy! Selling due to getting a new car. 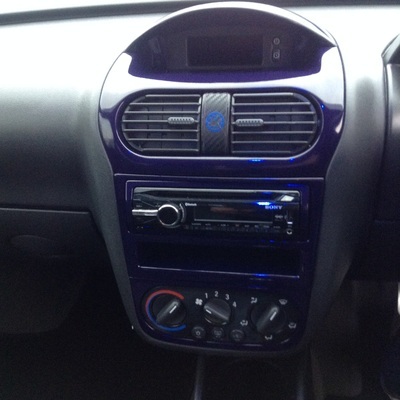 £900 headunit fully touch screen, Bluetooth, DVD,TV ect. custom boot build 3000w subs with amp and easy bass control unit located in the front of car. 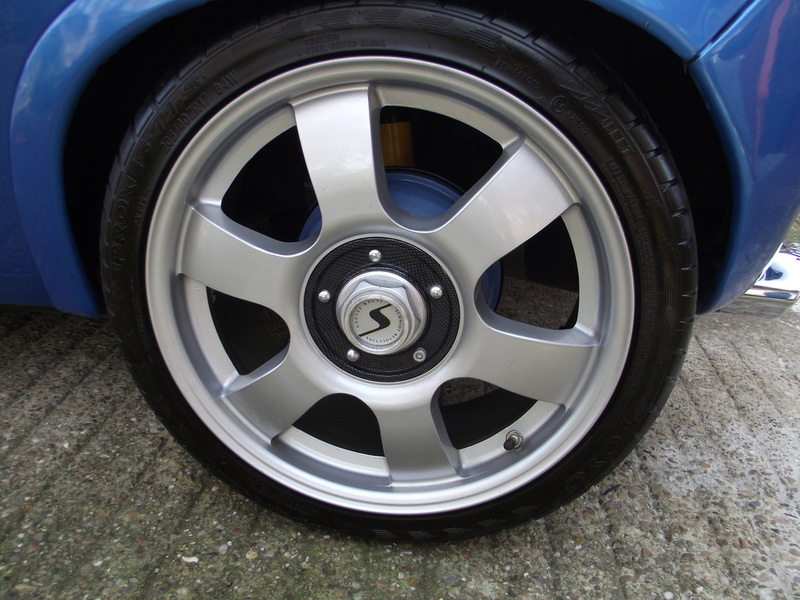 14inch artec newly refurbished wheels. some work still needs to be done! First to see and drive will buy !! Audi S3 Quattro 1.8 turbo, 270bhp. Tax until end of Nov 2014 and M.O.T until 4th May 2014 comes on 18" ABT sportsline alloys, standard Bose sound system with built in 6 disc changer, full recaro leather interior and a full service history, next service due in 9,000 miles. Has covered 87,000 miles. 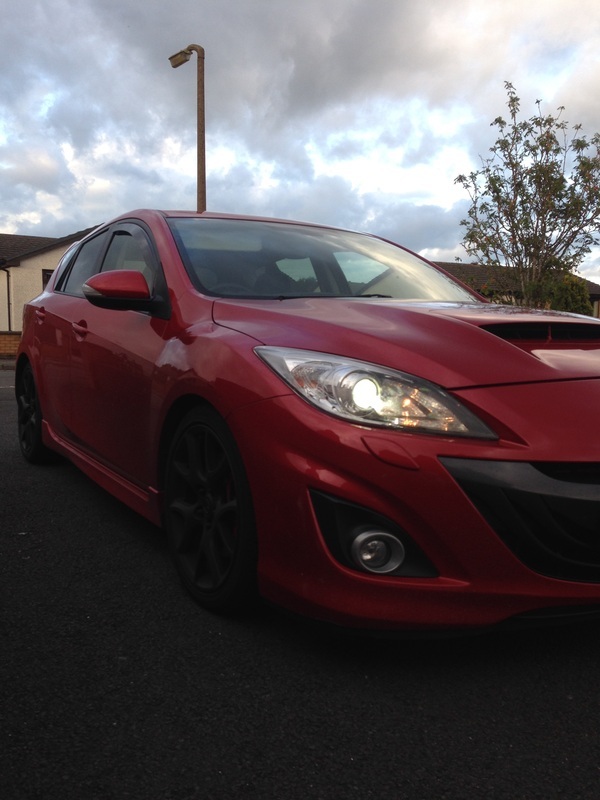 Has a stage 2 remap giving her 270bhp!!! And an upgraded front mounted intercooler and grooved rear discs.had a new windscreen fitted in October 2013 it also had the bottom end rebuilt on the 22/07/11 at 73,500 miles and recently spent a lot rebuilding the top end (although no paperwork) including a new cylinder head, head gasket, timing/cambelt, spark plugs, all new fluids and every nut and bolt in the process having only covered 223 miles since! So plenty left in her as she's not been broken in yet! She's an absolute beauty! And amazing fun to drive! I'm looking for £3,500 ono. She's worth every penny! Very Well looked After & Maintained, All Modifications Professionally Carried Out. 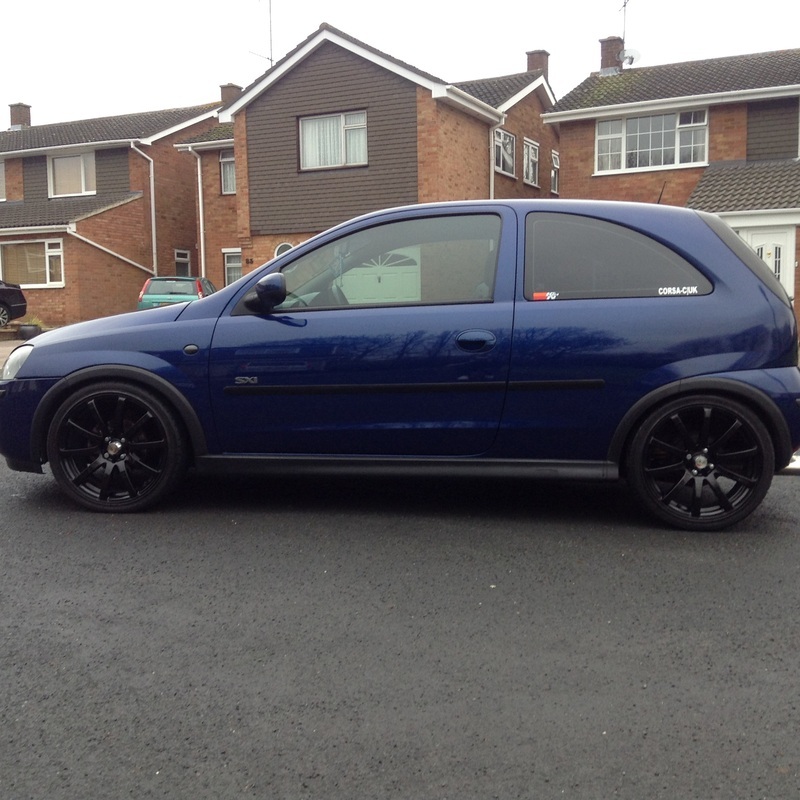 Here we have my modified Vauxhall corsa c 1.2 sxi for sale. The vehicle has 24,048 miles on the clock and is in immaculate condition inside and out as you can see from the pictures. The reason i am selling the vehicle is i need to buy a van for work. I have owned the vehicle for 3 years and it has been very well looked after, cleaned inside and out on a regular basis. I also have the original suspension and the original exhaust from the vehicle if needed. I have all the paper work from when I brought this vehicle in 2010 and all the MOTS since, and I also have all of the receipts for the modifications on the vehicle which shows they have been done professionally. 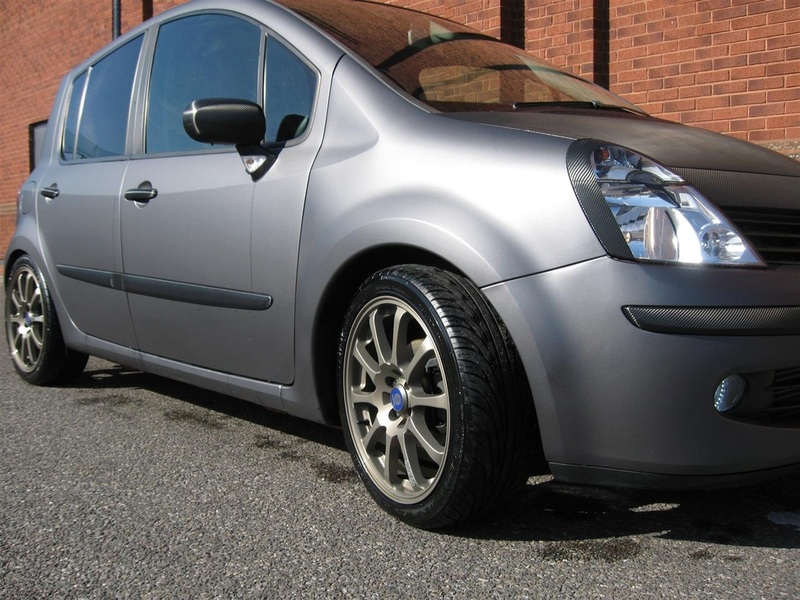 17'' gloss black KEI racing force alloy wheels with lock in wheel nuts. All round legal tinted filmed windows. Stainless steel scorpion cat back exhaust system. Sony xplod bluetooth and usb headunit. Colour coded royal blue centre console. Full blue led dash conversion including foot wells. 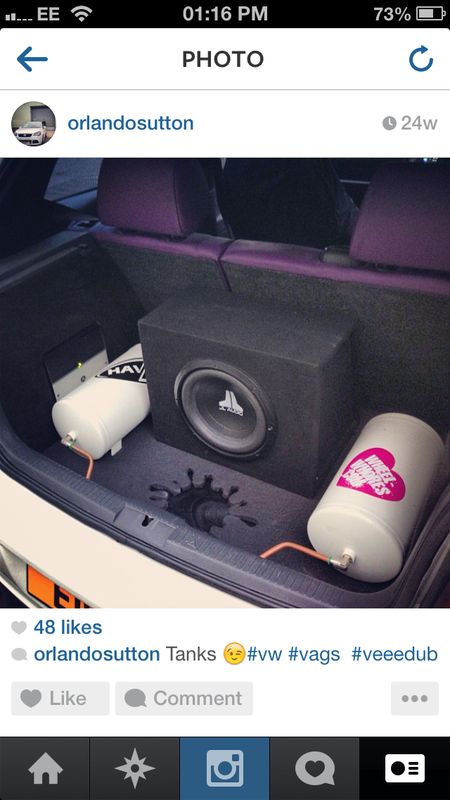 Vibe black air 6x9 parcel shelf speakers. Vibe black air door tweeters. If you have any questions about the vehicle please don't hesitate to ask me and I'm open to reasonable offers. This car has had well over £10,000 pound spent on it. The engine has just had a new rocker cover rubber gasket fitted, and has just had a full service. The engine runs like new, it starts first time every time and runs faultless With no leaks or rattles. The turbo runs perfect with no oil leaks coming from or out of it. There's no oil coming out of the exhaust or blue smoke. The battery has been relocated to the boot in a battery box. all good tyres not cheap, and are fairly new. Unless you have around 20k to spend at today's prices! Full Screen Unit with SatNav, Aux, USB, SD and Bluetooth compatibility. Mechanically sound - No problems at all. COMES WITH SPARES AND LOADS OF BITS IN THE PACKAGE. TO RUN BUT FRONT ONE HAS A CRACK SHOWN IN THE PICTURES AND BACK ON HAS KRAZED SLIGHTLY NOTHING TOO MAJOR. 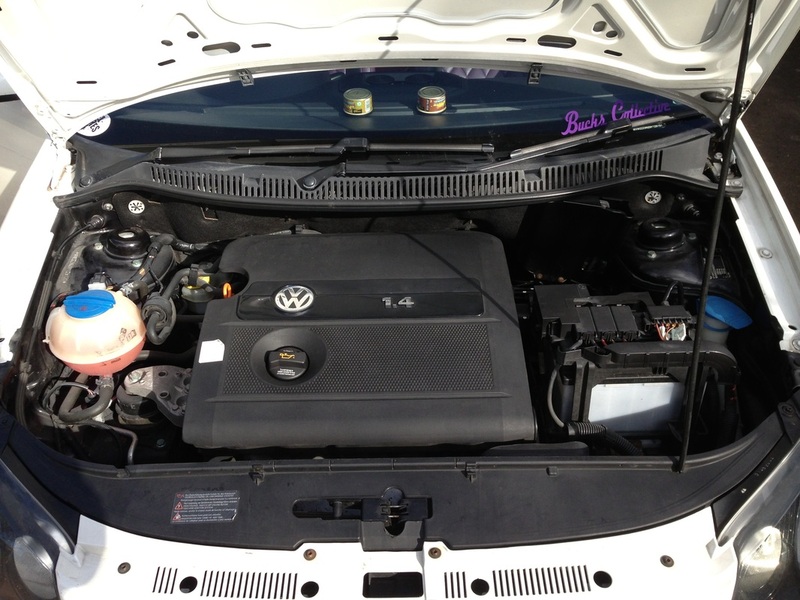 THE CAR IS IN PERFECT RUNNING CONDITION AS ALWAYS HAD IT CHECKED, SERVICED ETC AT VW. AS YOU CAN SEE IN THE PICTURES ITS A CLEAN CAR. HAD IT FOR 2 YEARS NOW SO OF COURSE SOME GENERAL WEAR AND TEAR, BUT APART FORM THAT ITS BEEN A BEAUT! 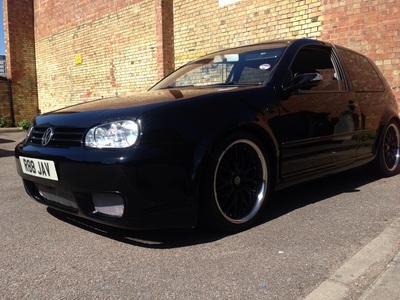 NO PROBLEMS AND A GREAT CAR FOR ANYONE WHO WANTS TO STANDF OUT FROM THE REST AS THIS IS A ONE OFF, CUSTOM DESIGNED! 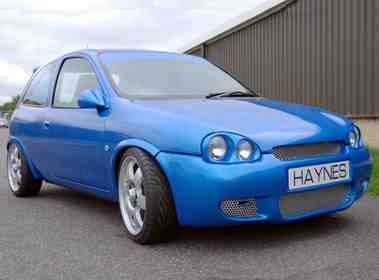 This 1998 Vauxhall Corsa Sport 1.6 16 valve car is a one off rare and unique car, in stunning grade one contours condition for showing but also street legal on the road. This car has hardly been used since it's mods (2,500 miles)and only been used as my second car for car shows. Classic cars are soaring in value, partly because they are highly-prized objects, but also because they can prove to be a great way to beat the taxman. Therefore is a real potential future investment. This is a highly presentable car and has been fully recommissioned and subjected to all the safety checks associated with a MOT test etc. With an estimated value of over £12,000 worth of parts and modifications The car was built and modified by Haynes Motor Museum and was on static display for six years as part of a private collection. It was put into their museum on exhibition until purchased by the previous owner. 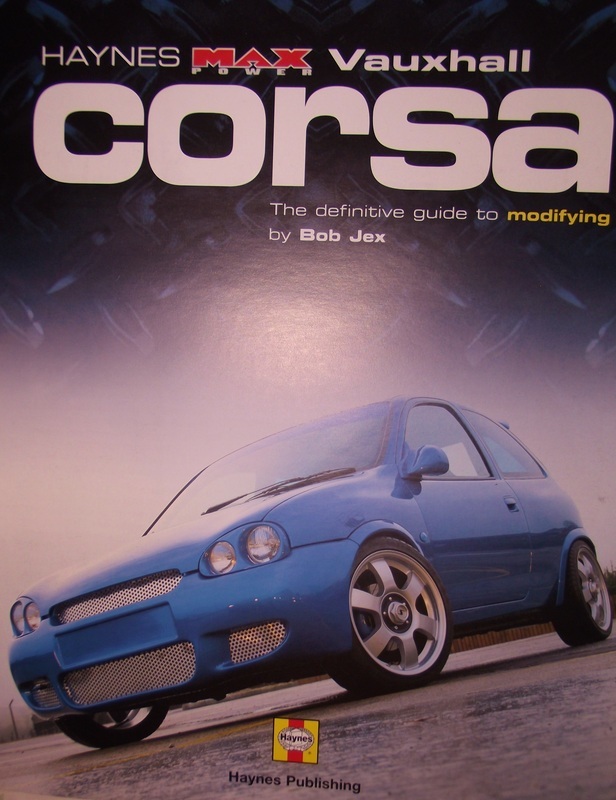 There are some 177 pages of this car covering its modifications in the Haynes Max Power Guide, out of 219 pages in the guide. 2 previous owners only done approx.30,000 miles. 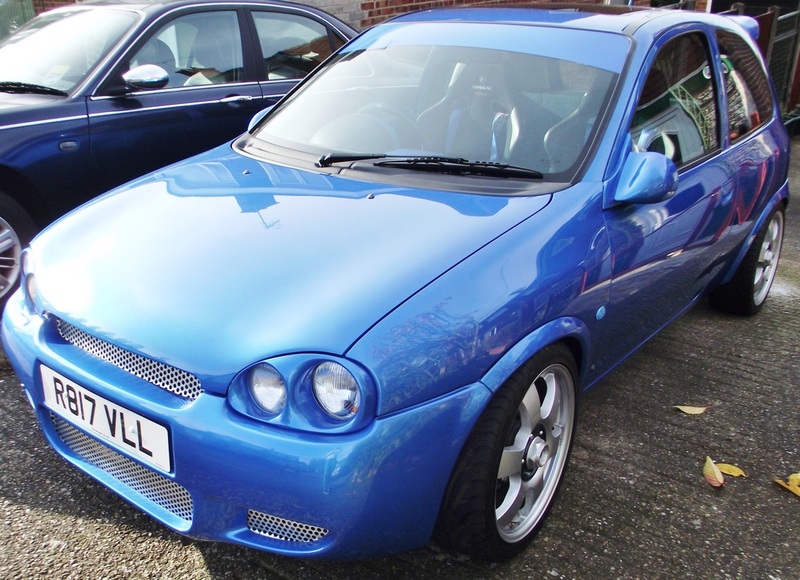 Have a copy of the V5 showing details of both owners and MOT. * Plus lots more extras as detailed in the Haynes book. Thousands spent. Company show car. Sign upto our Facebook page to receive all the latest news and cars for sale. Just click the 'F' below to be taken directly to it.